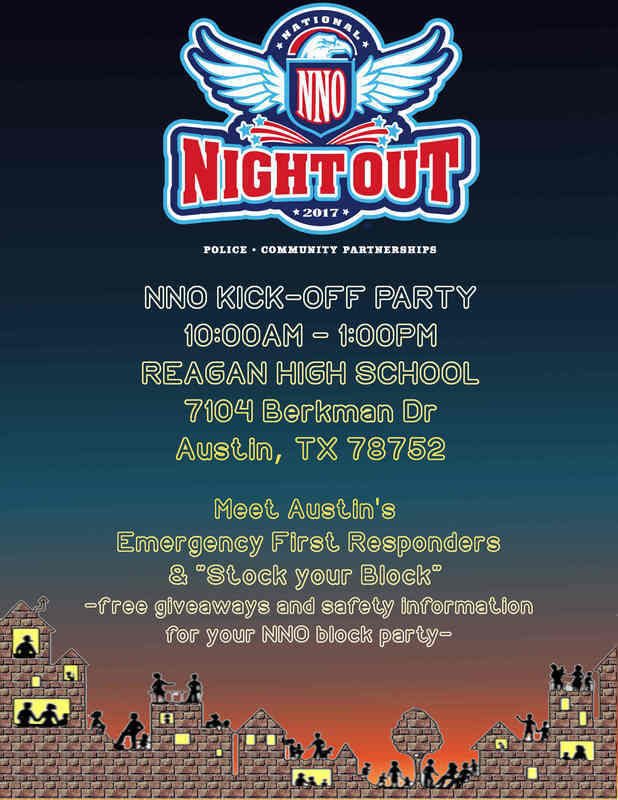 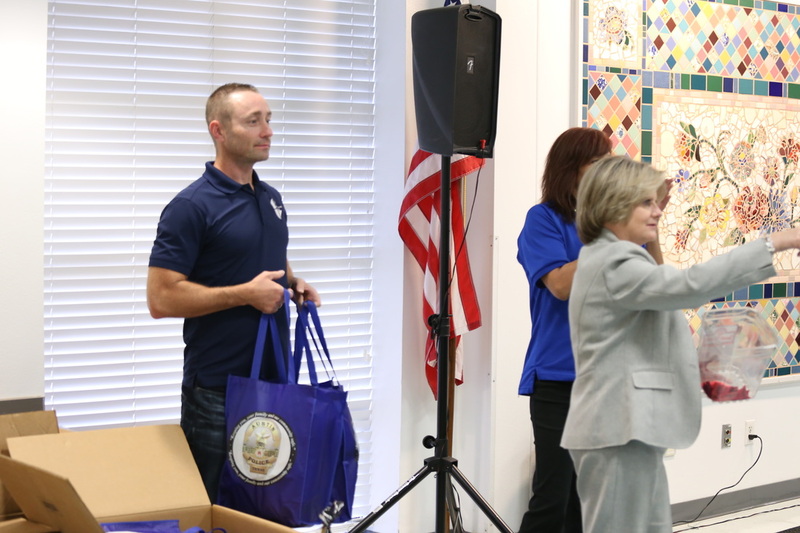 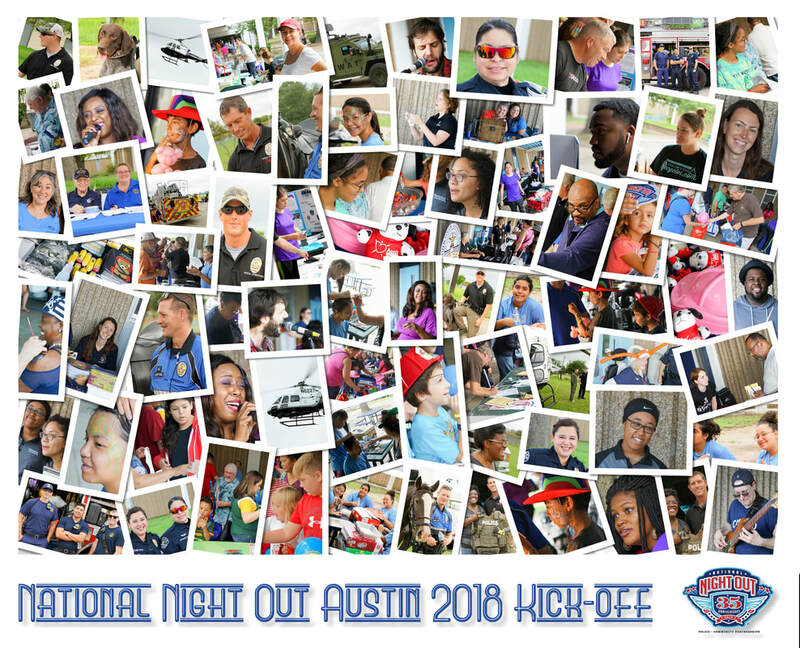 National Night Out 2018 Kick-off! 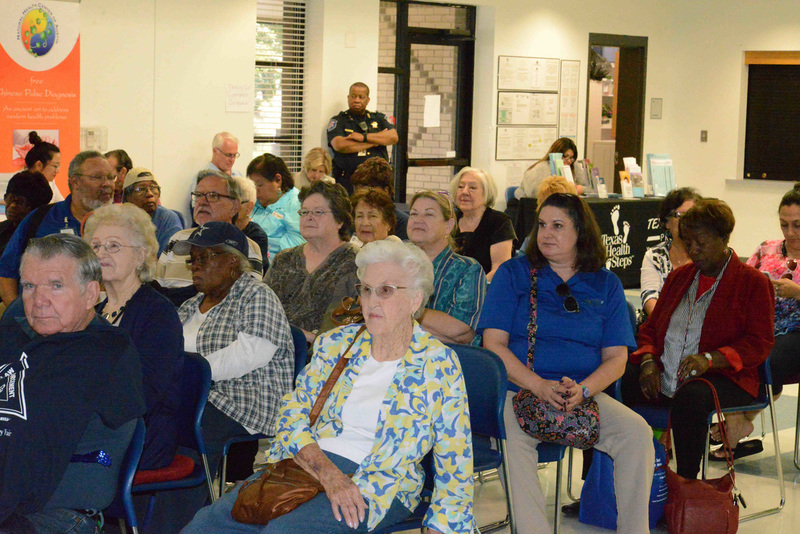 What a great turn-out despite some rain! 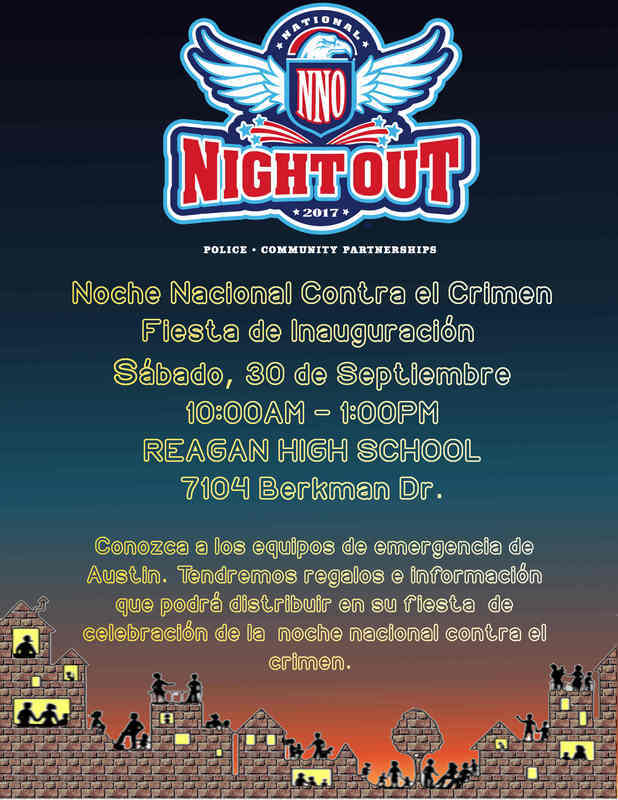 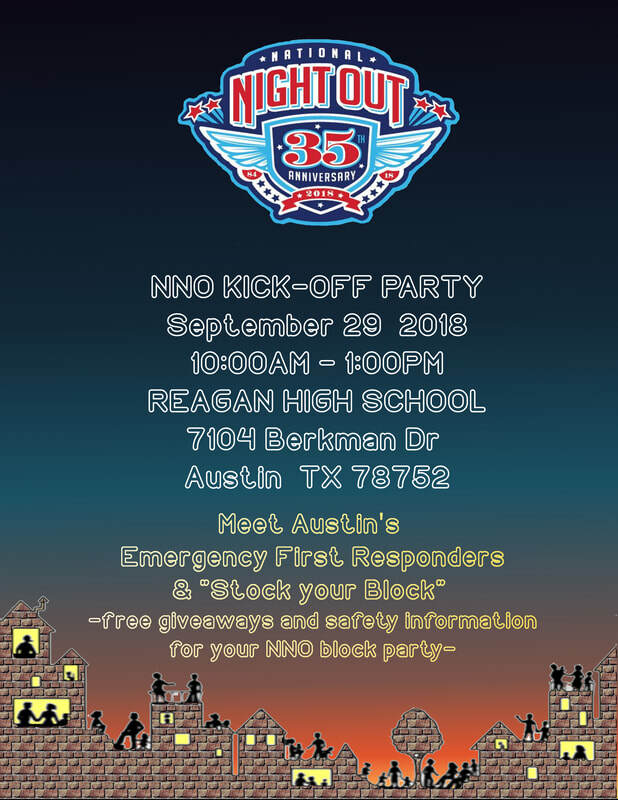 National Night Out - September 29th! 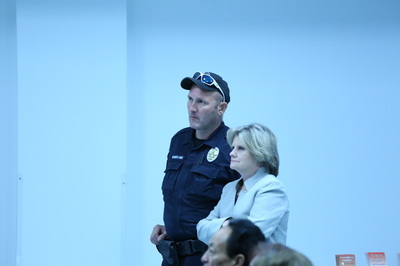 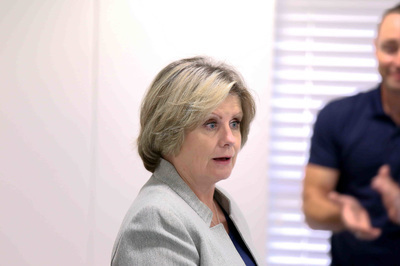 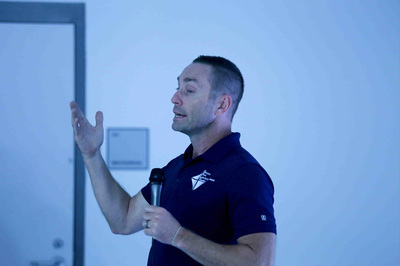 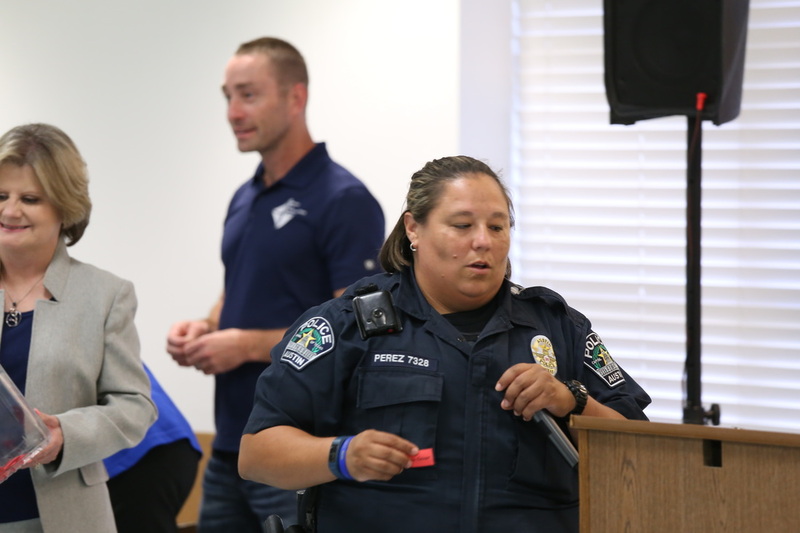 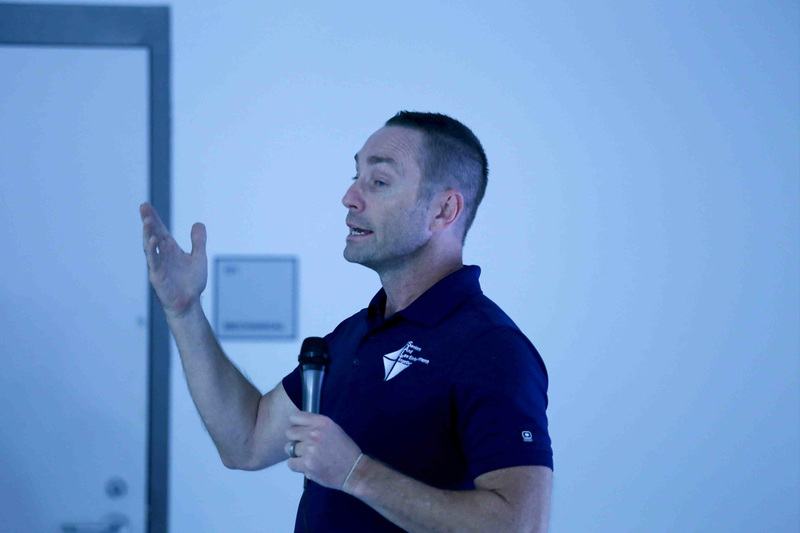 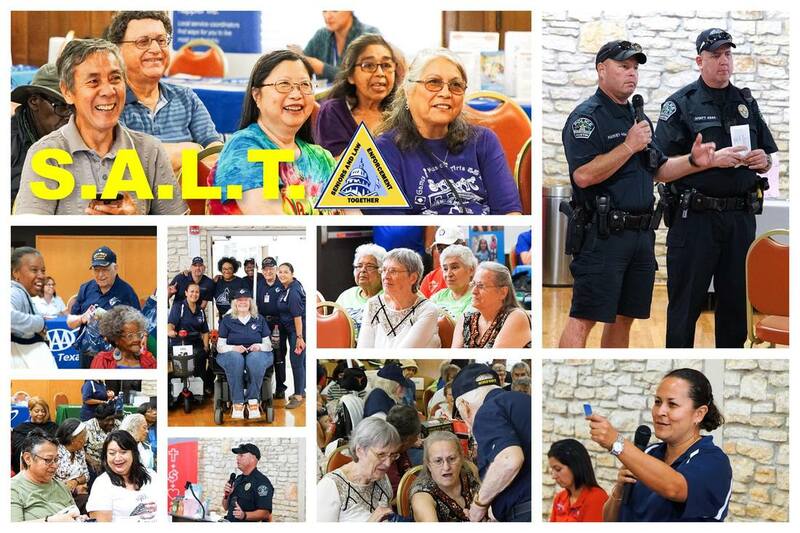 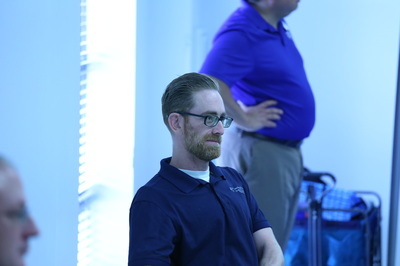 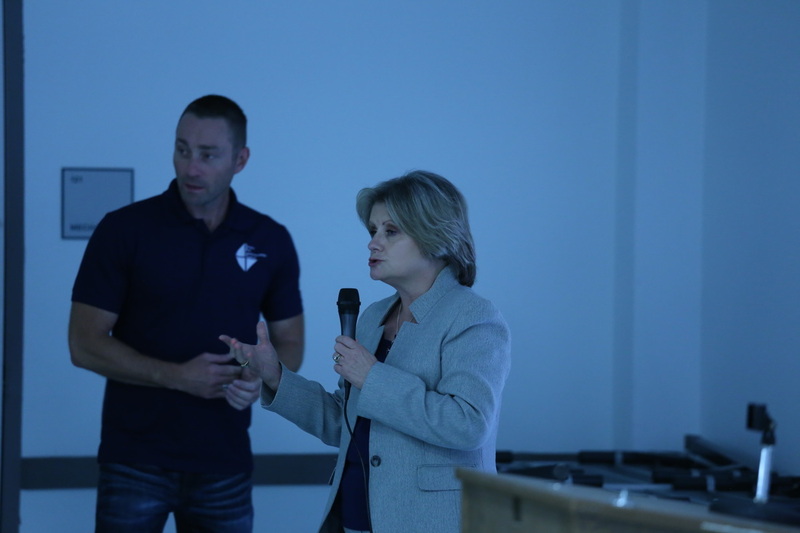 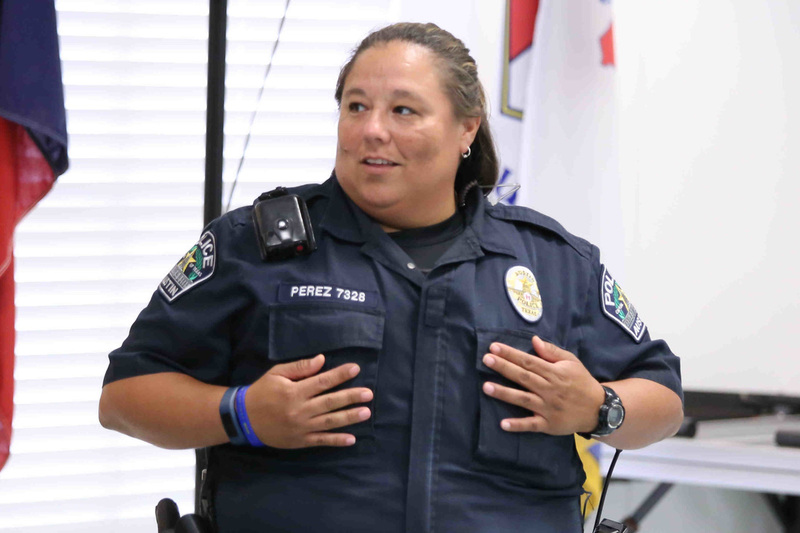 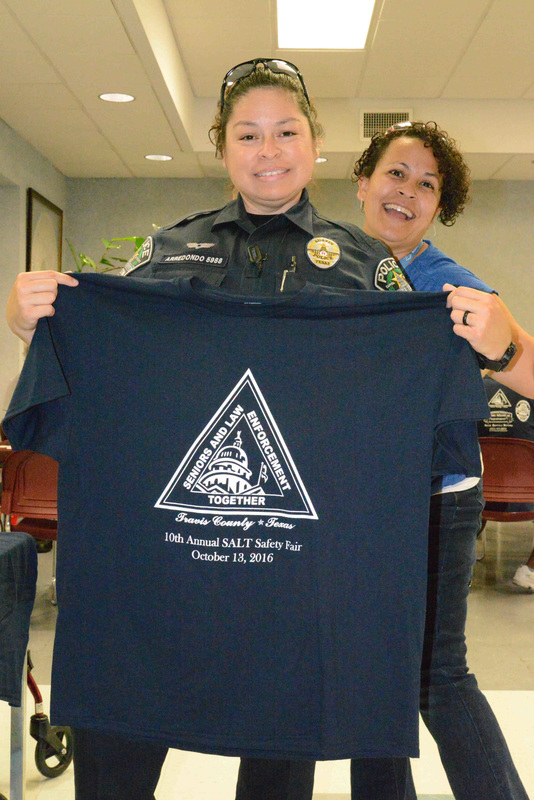 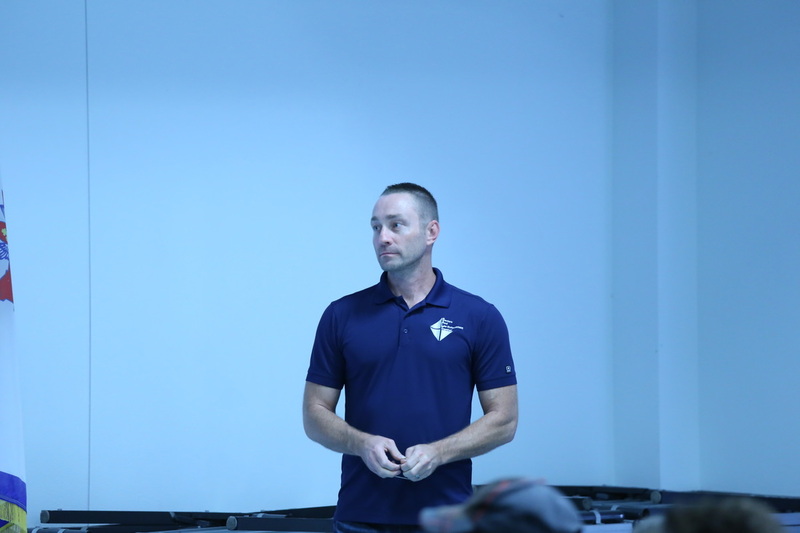 SALT members from all over Austin gathered together on September 7th to meet with police officers to discuss ways of staying safe. 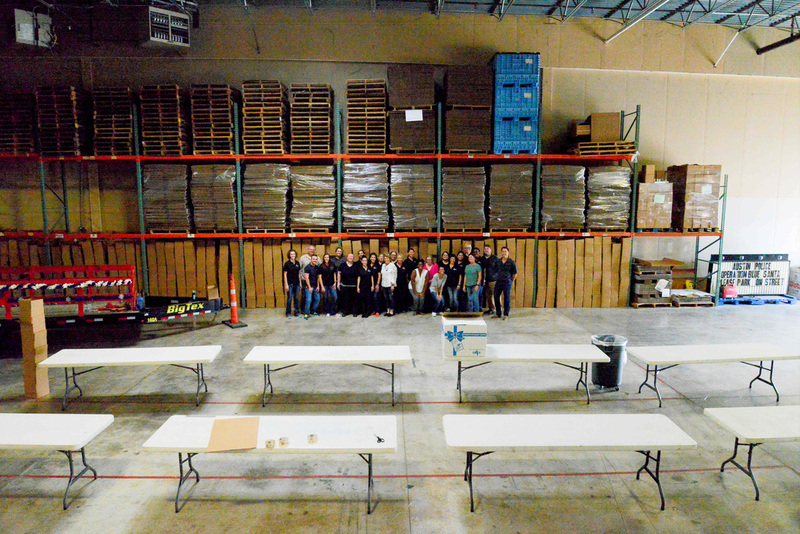 July 22, 2017. 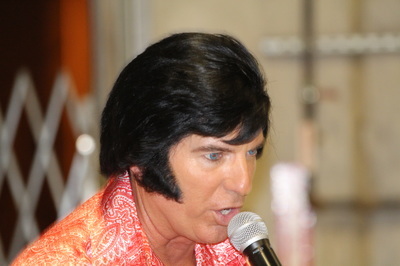 The day was a hot as the cars. 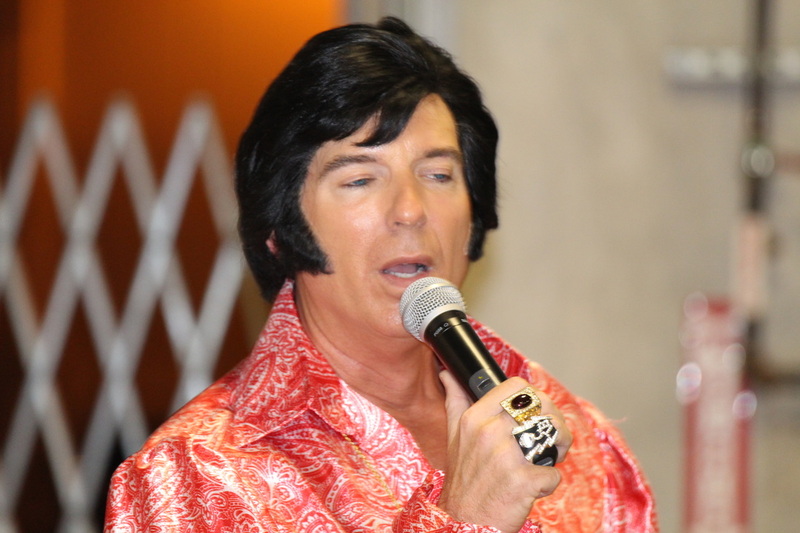 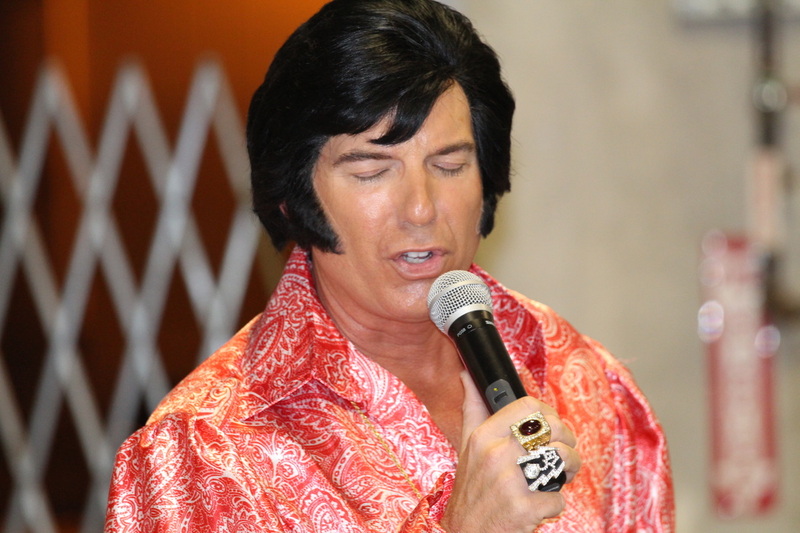 Everybody was a Highway Star. 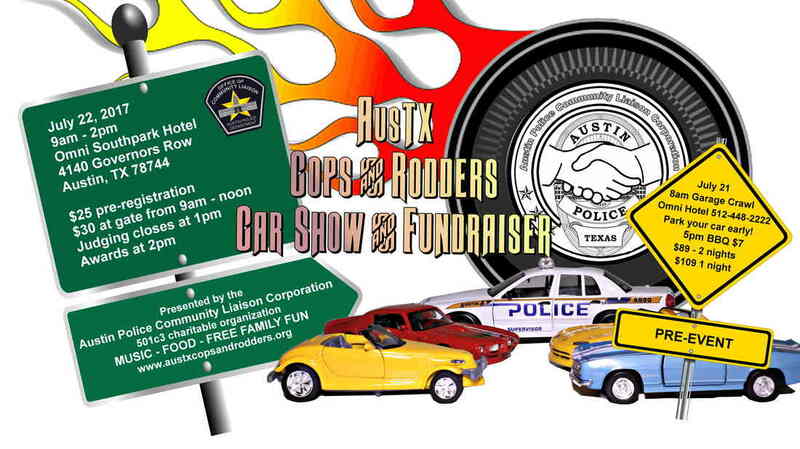 3rd Annual Cops & Rodders Car Show This July! 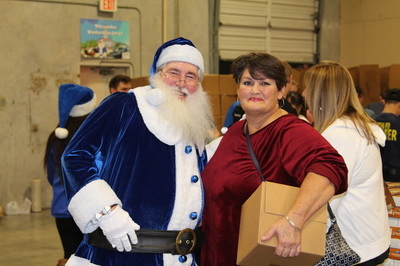 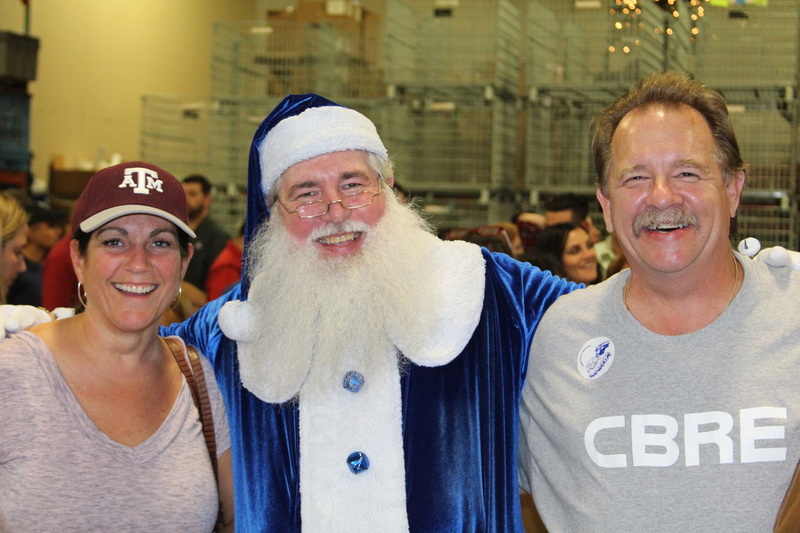 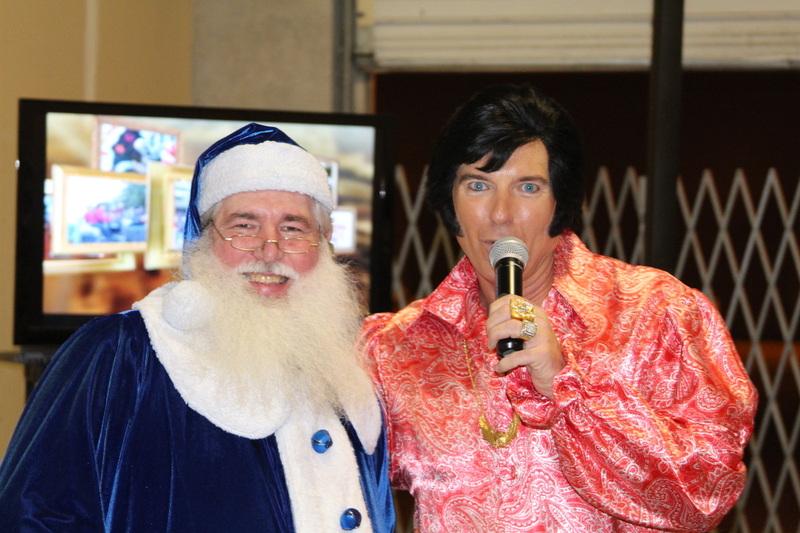 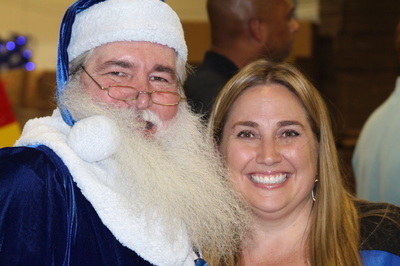 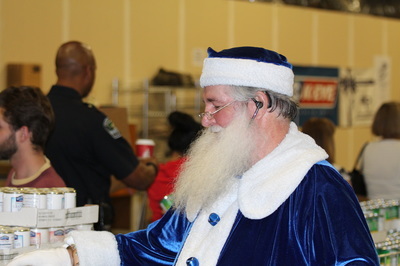 APD Chief Chris McIlvain and Mr. and Mrs. Blue Santa appeared at the Omni Hotel's holiday celebration. A good time was had by all. 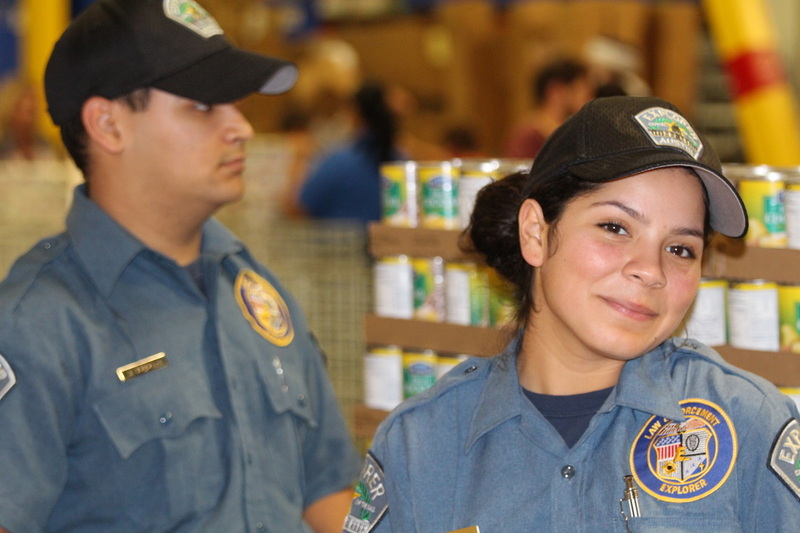 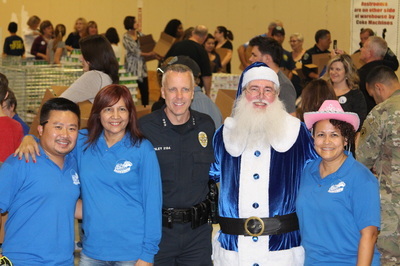 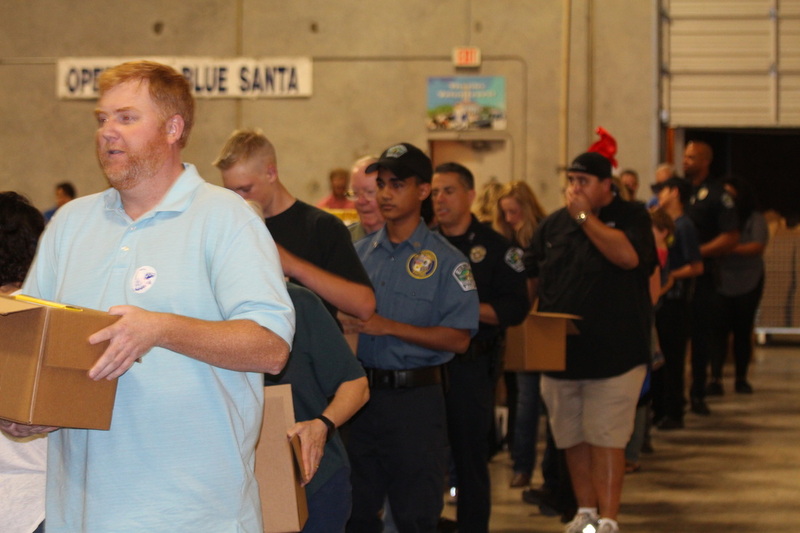 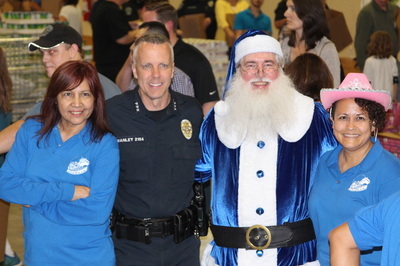 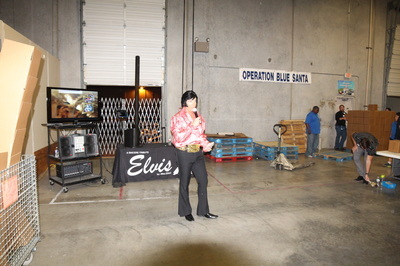 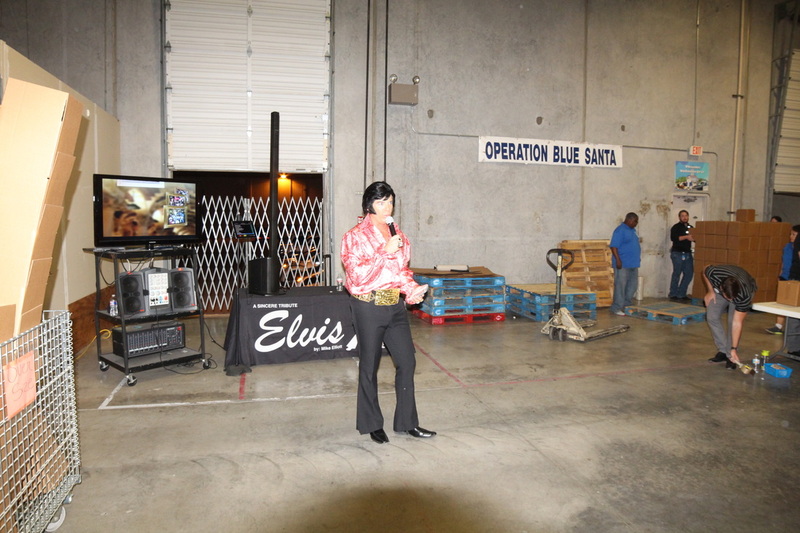 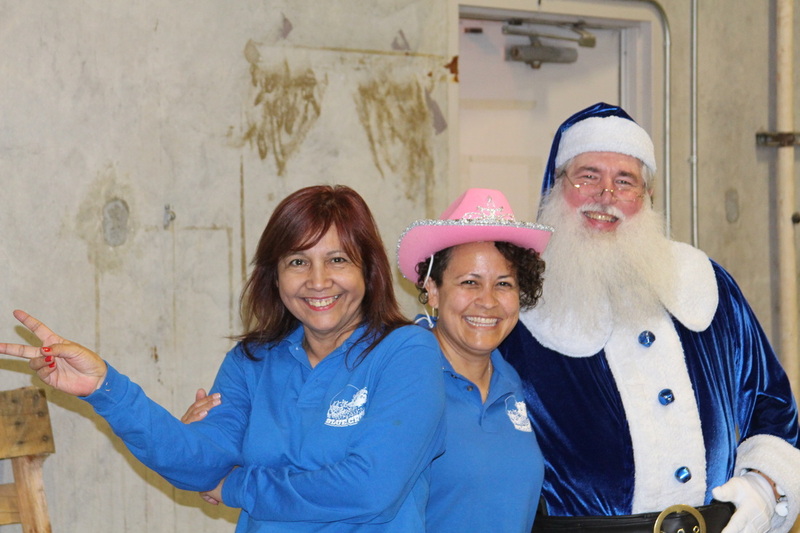 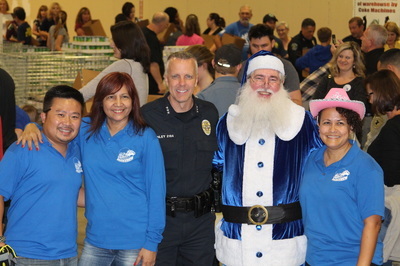 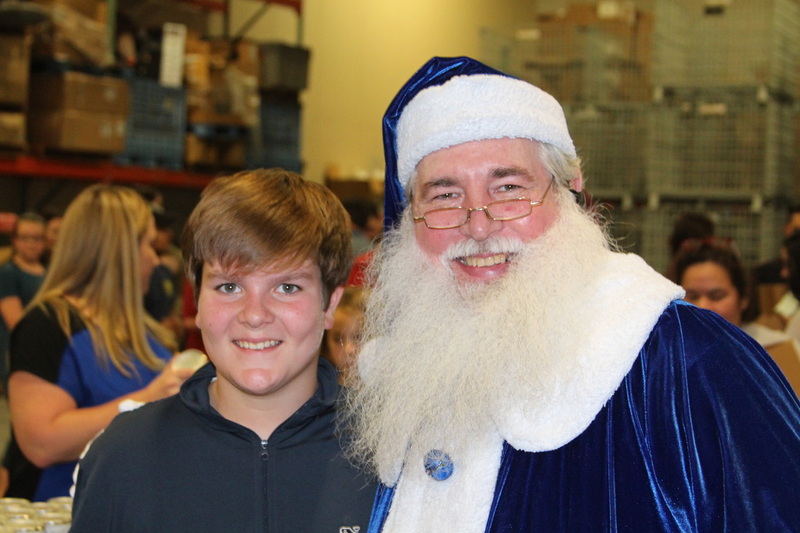 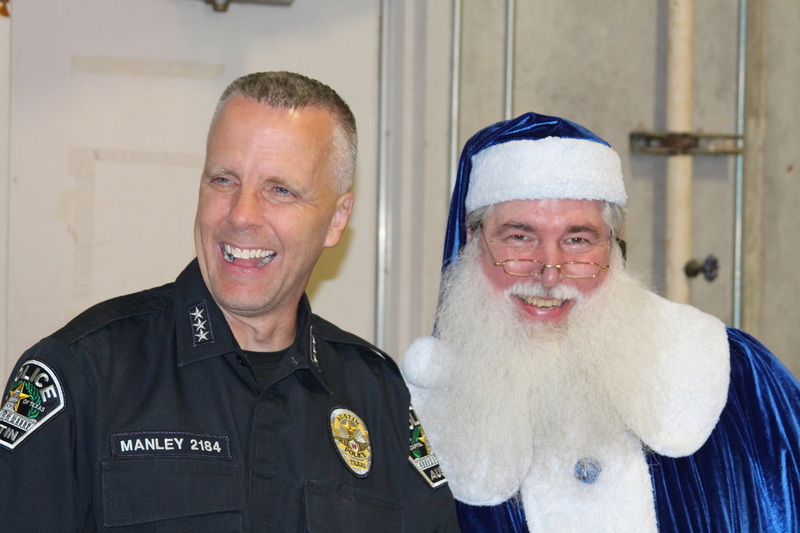 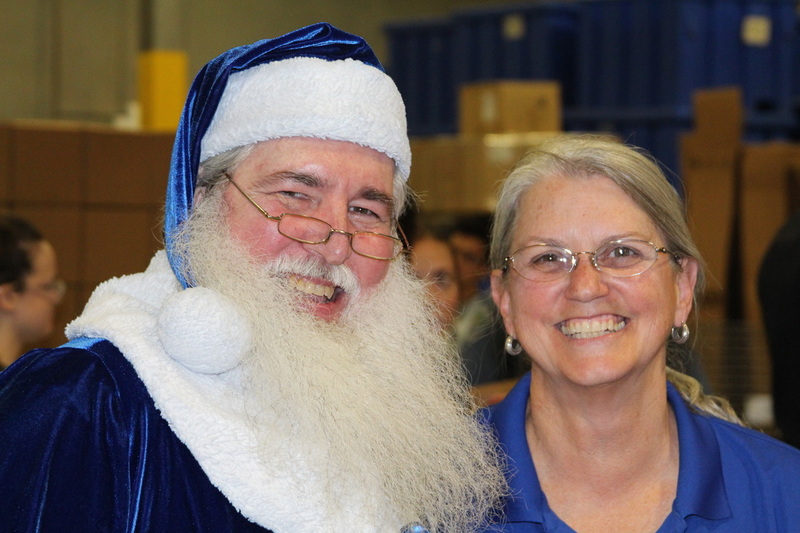 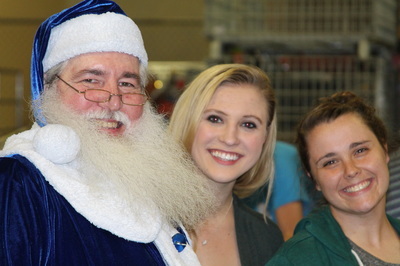 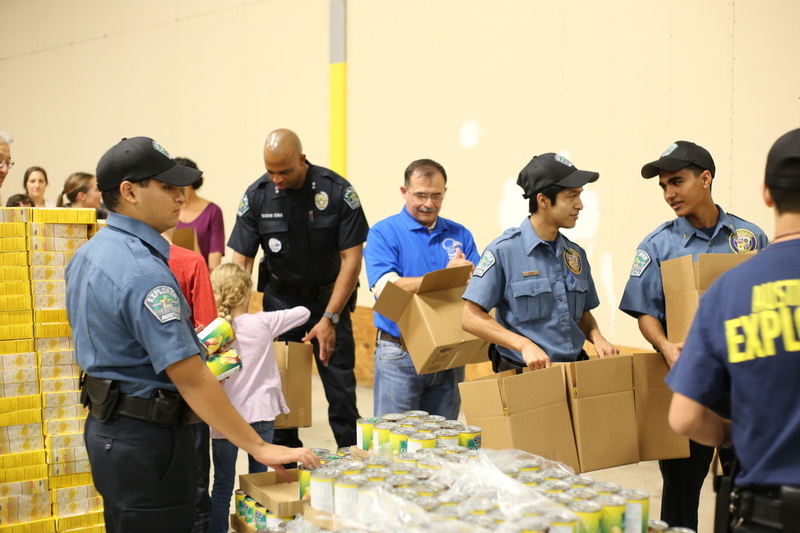 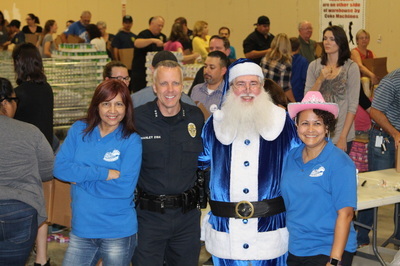 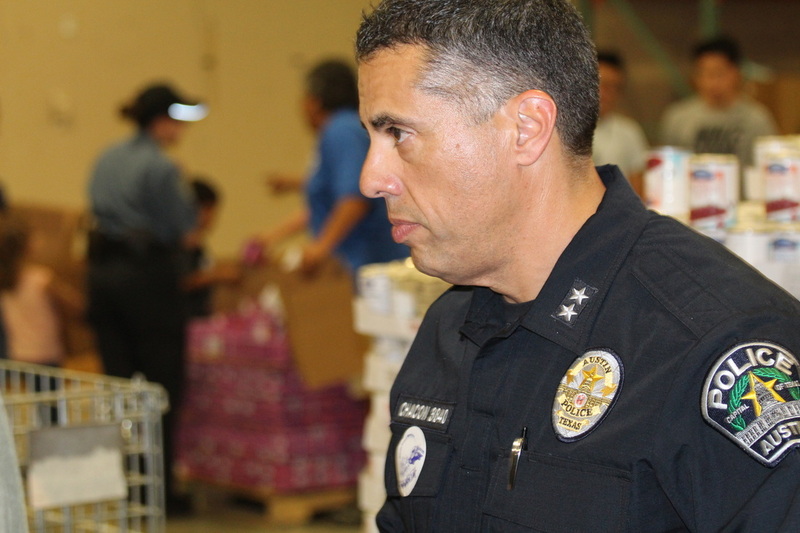 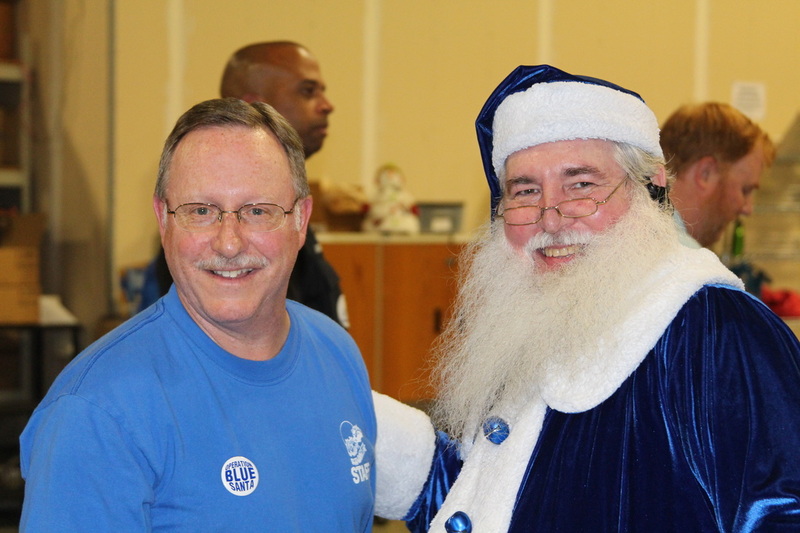 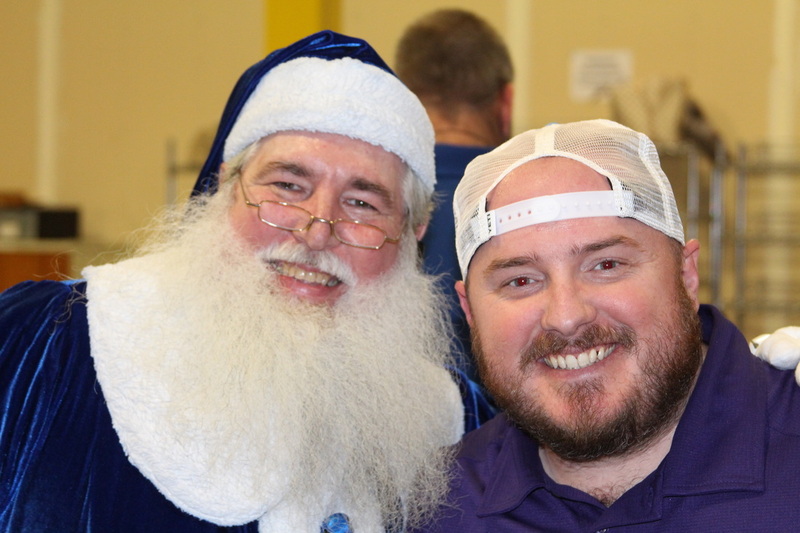 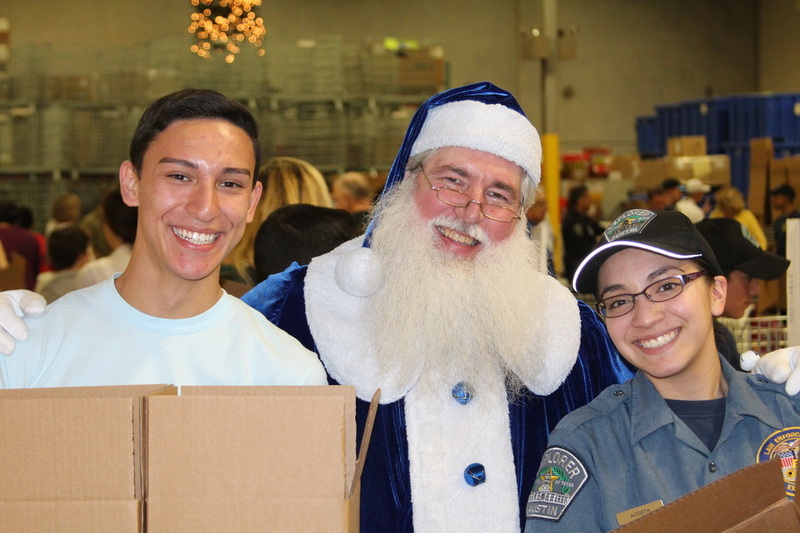 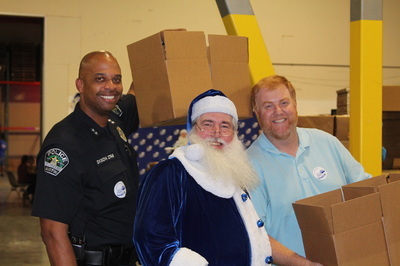 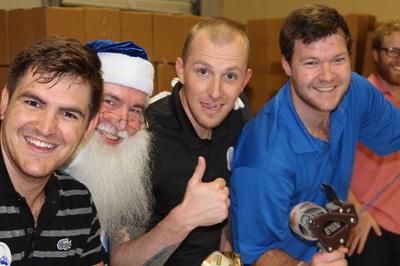 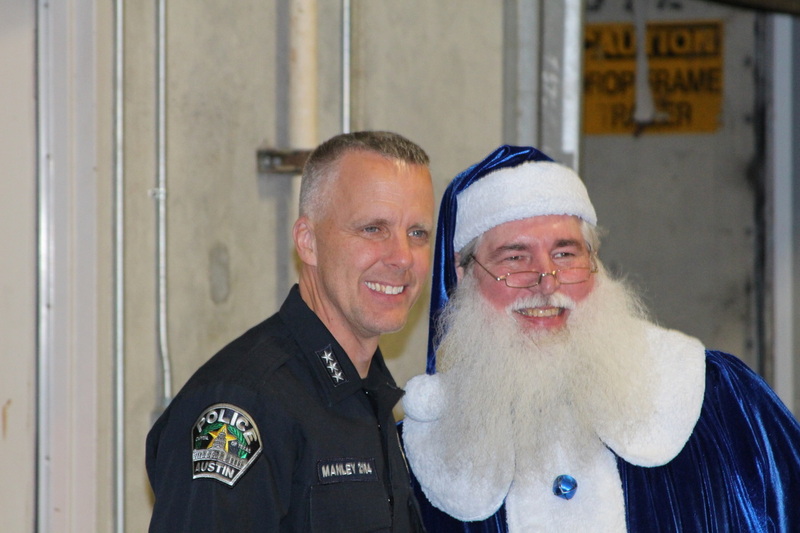 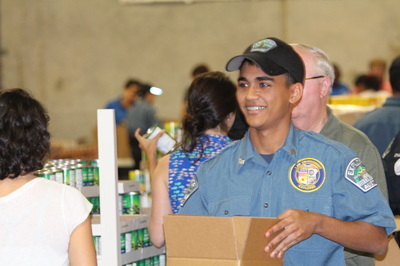 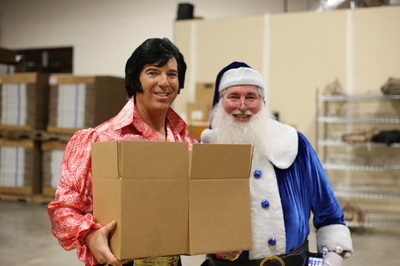 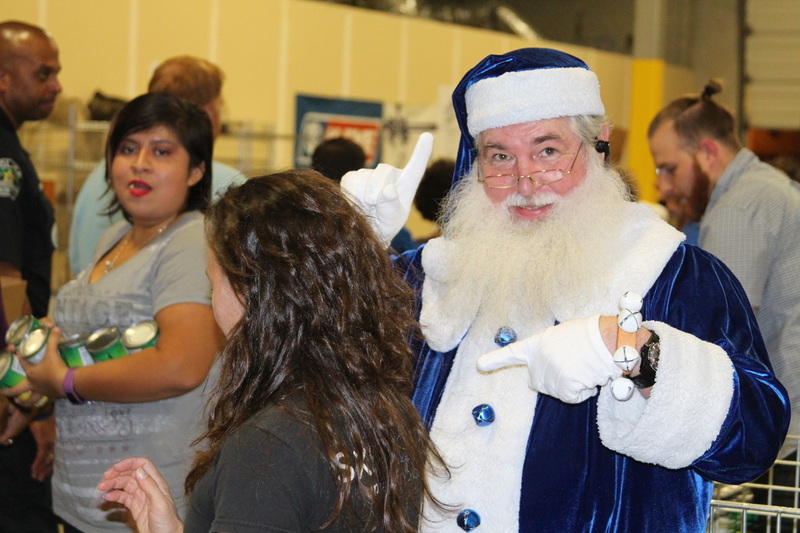 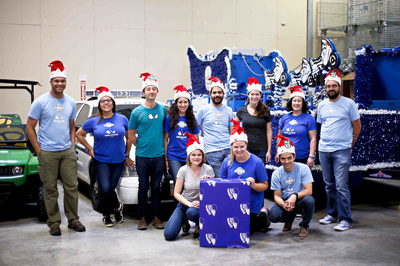 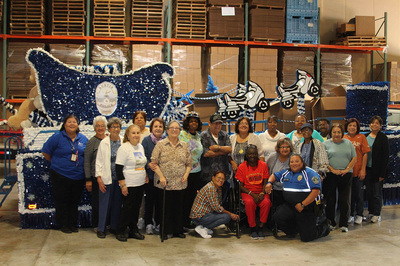 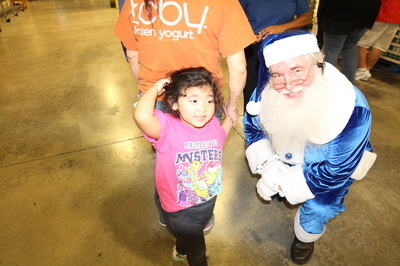 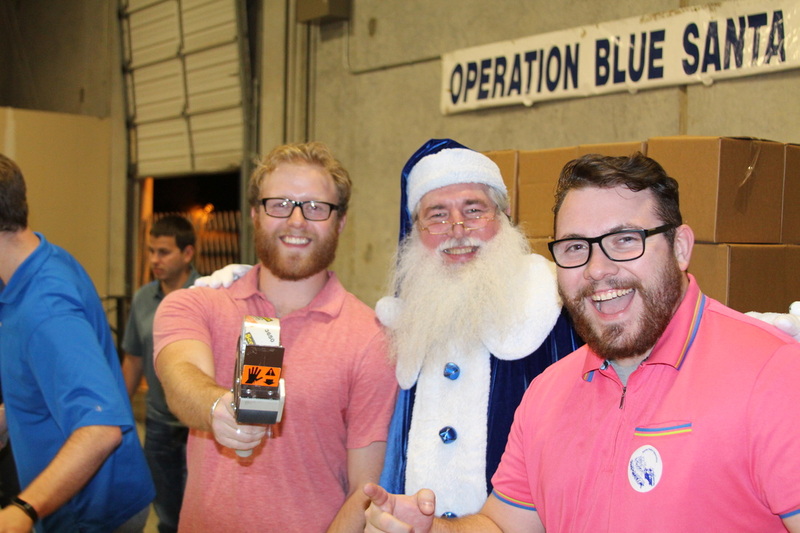 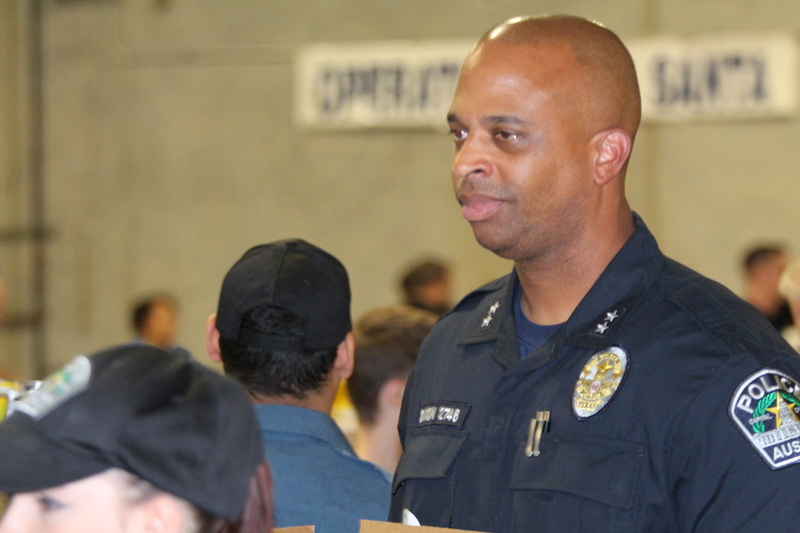 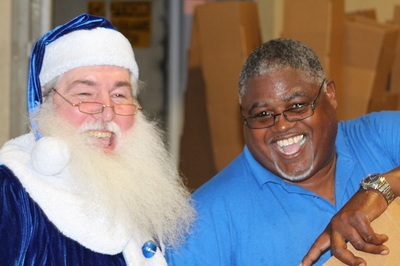 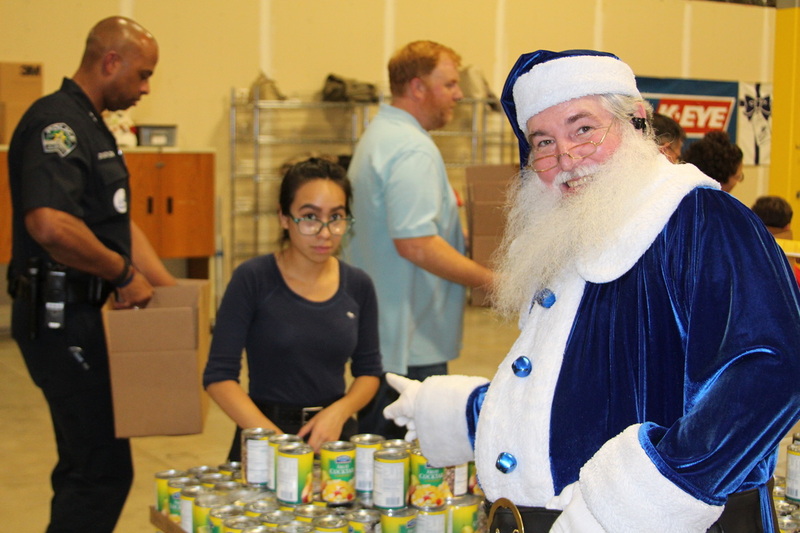 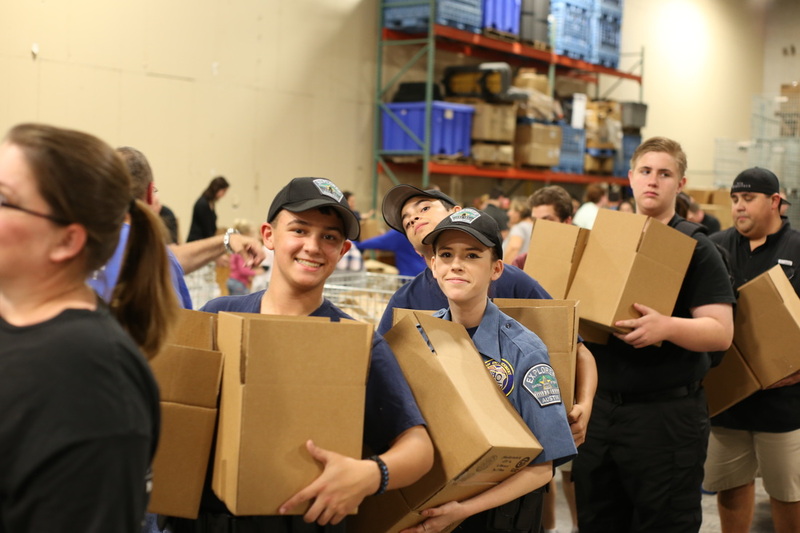 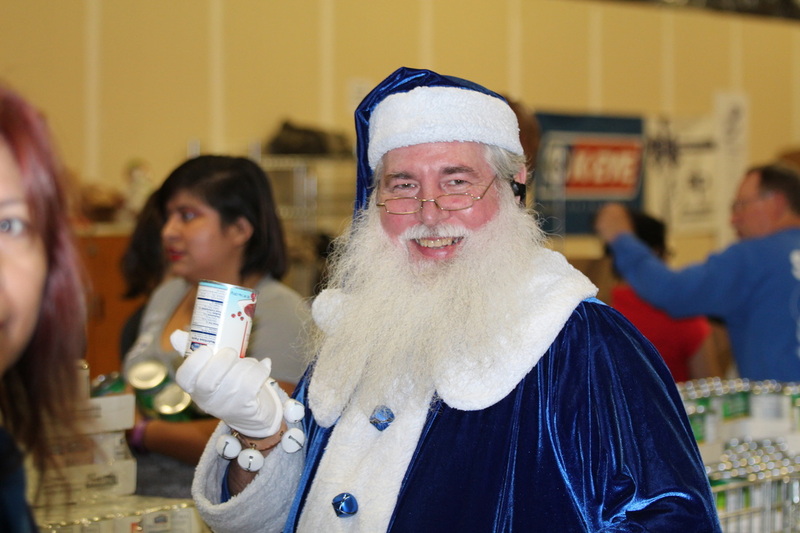 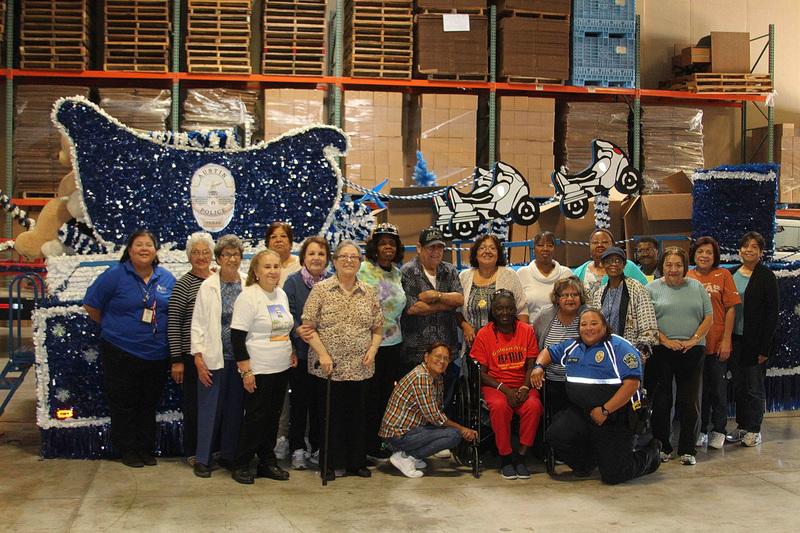 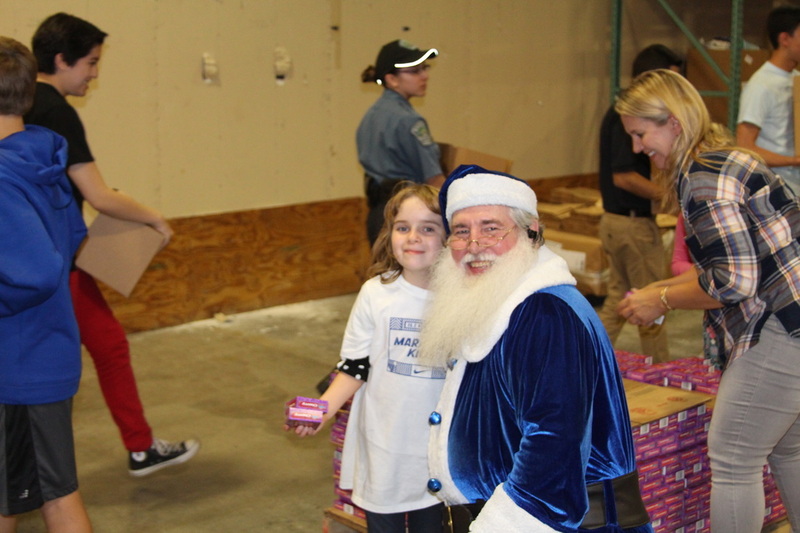 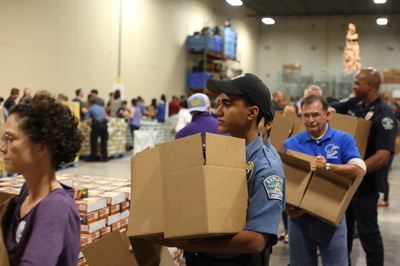 APD Operation Blue Santa Food Night Video! 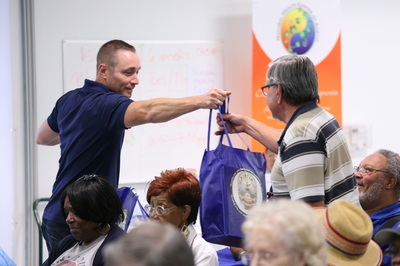 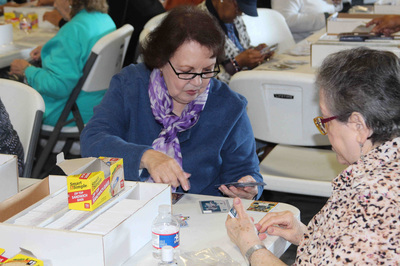 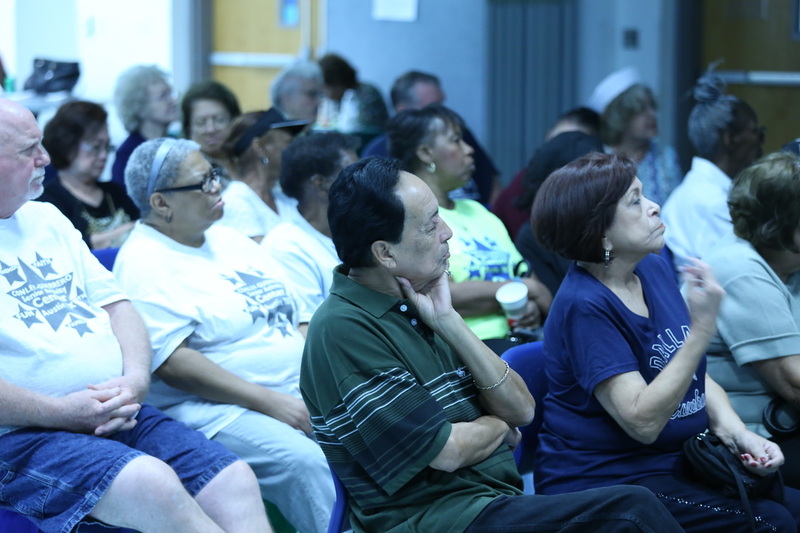 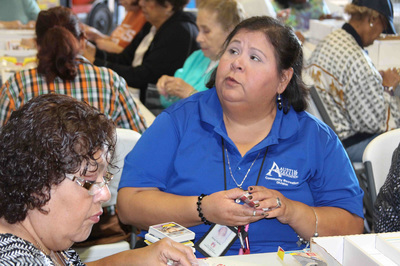 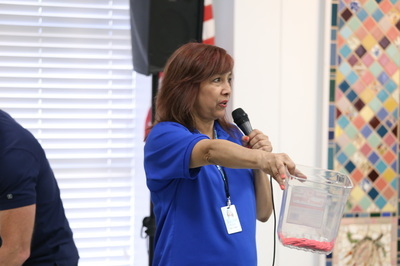 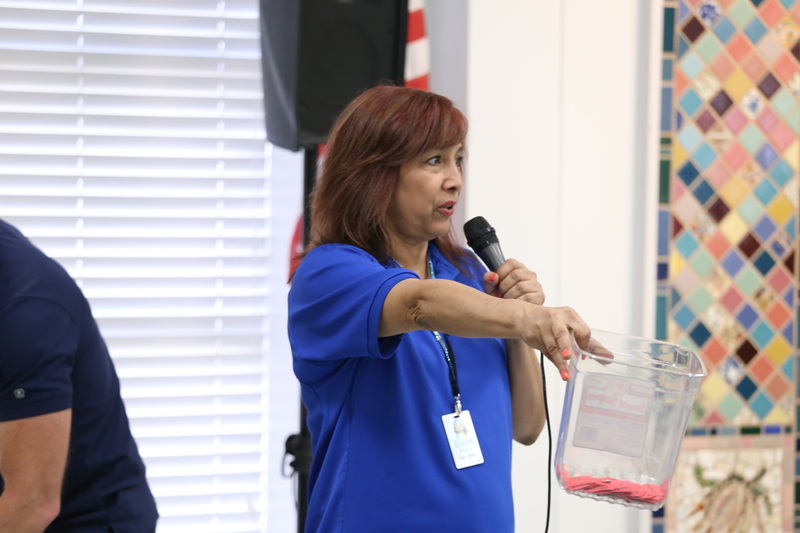 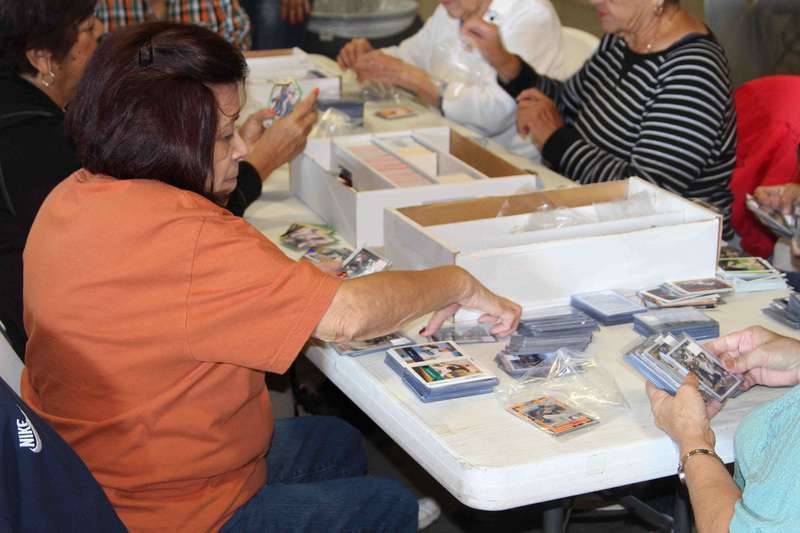 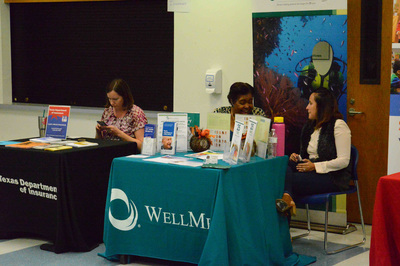 Conely-Guerrero Senior Activity Ctr. 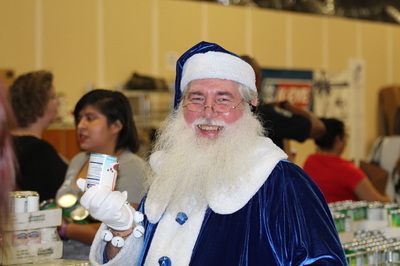 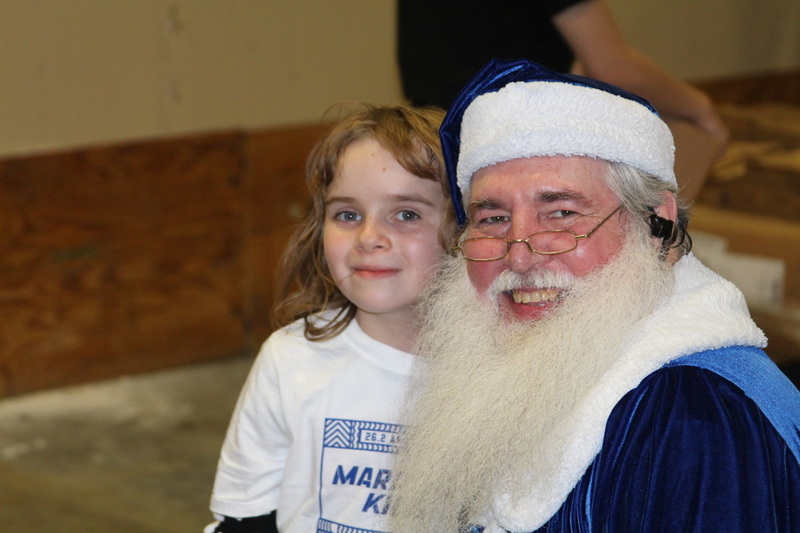 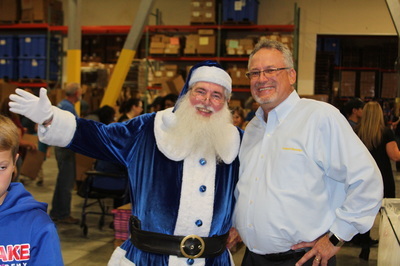 Helps Blue Santa! 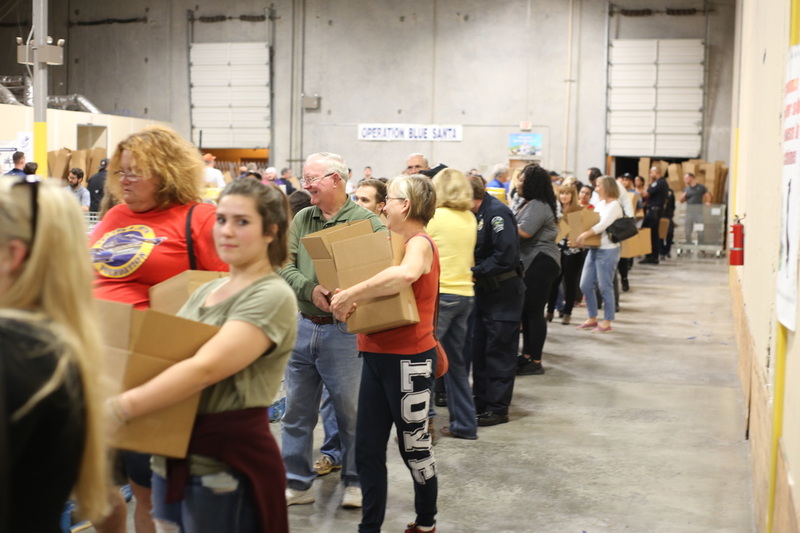 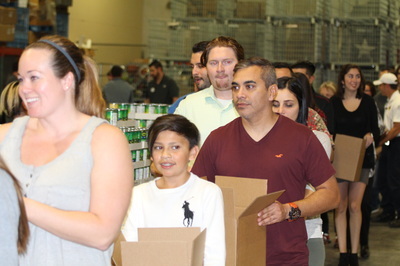 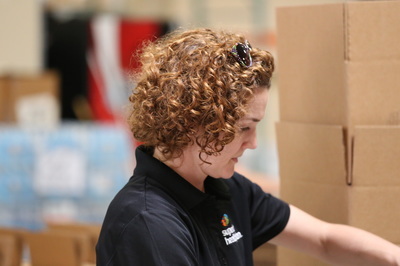 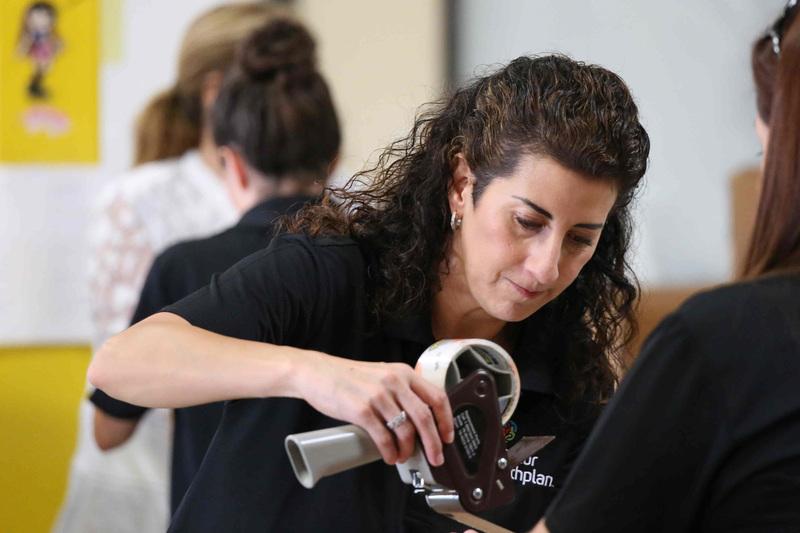 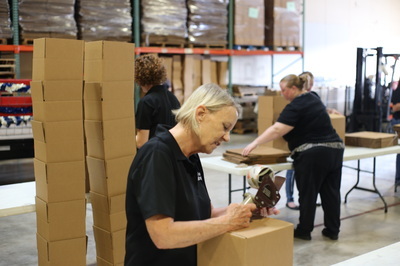 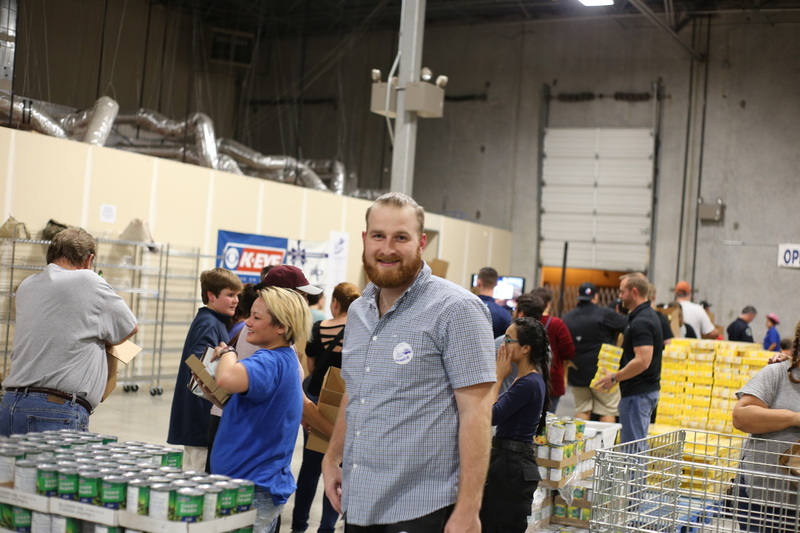 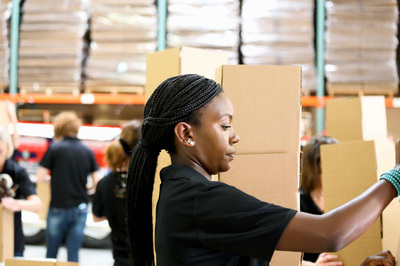 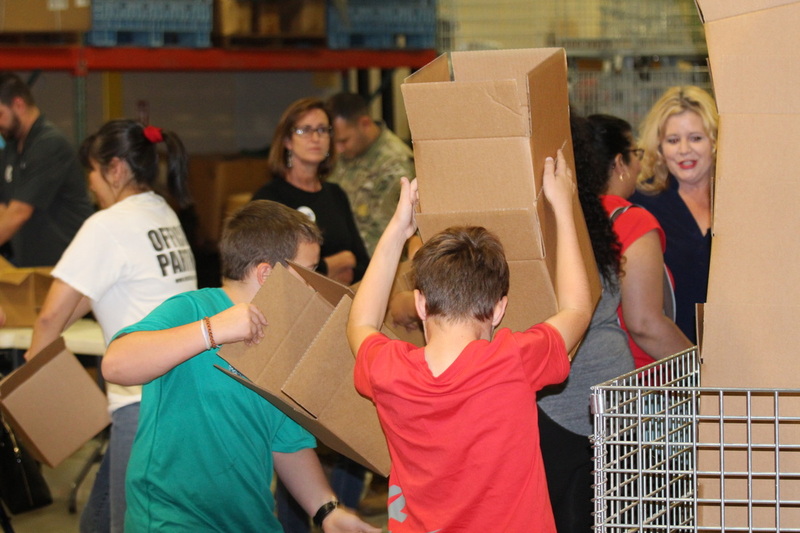 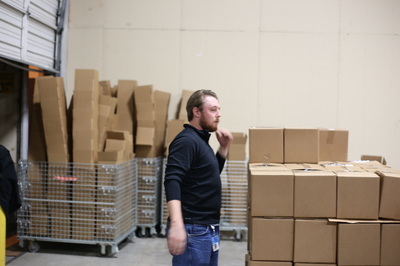 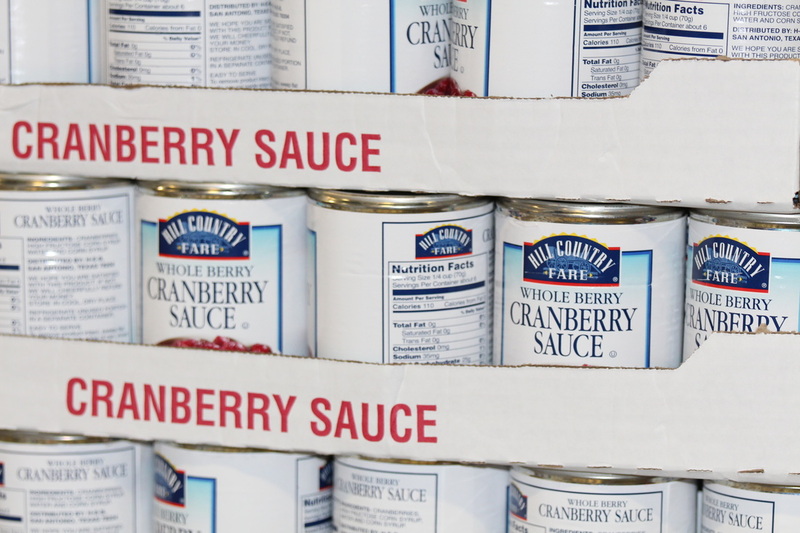 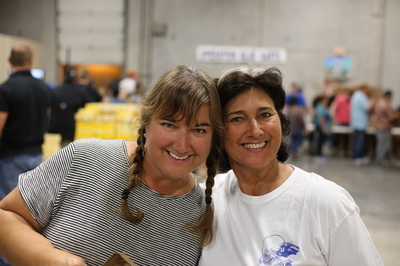 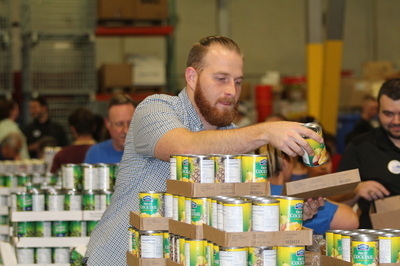 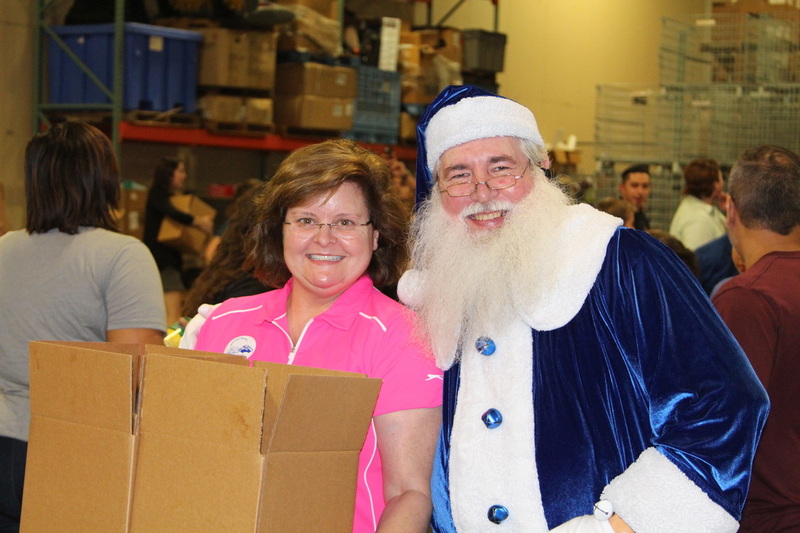 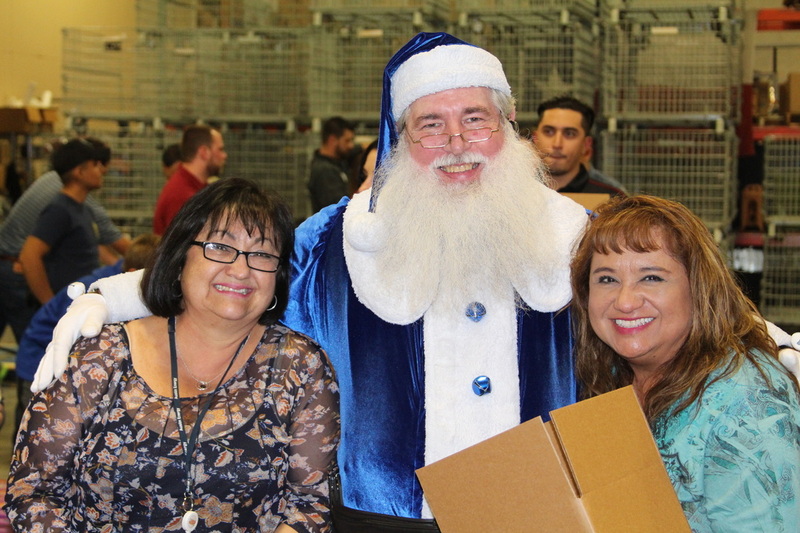 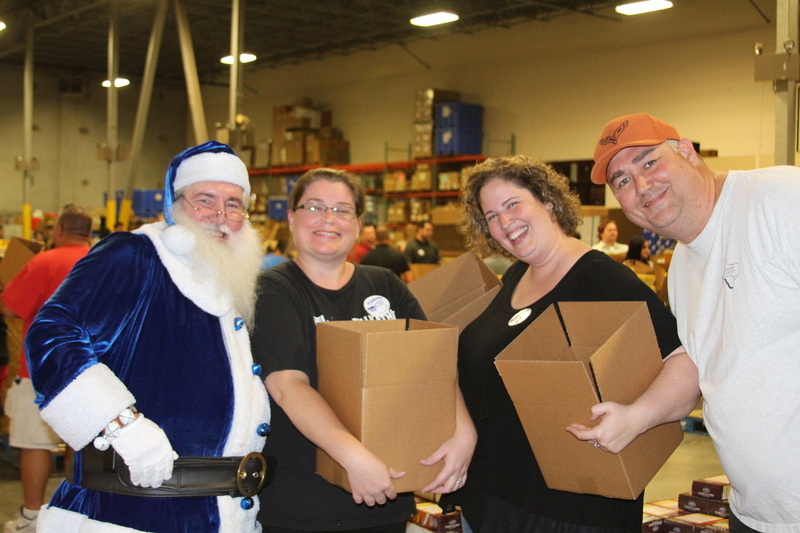 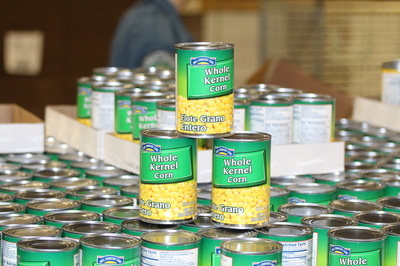 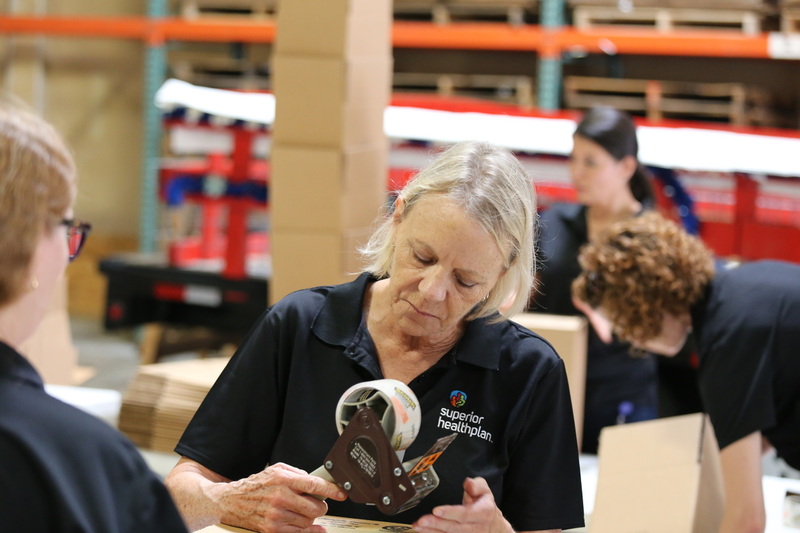 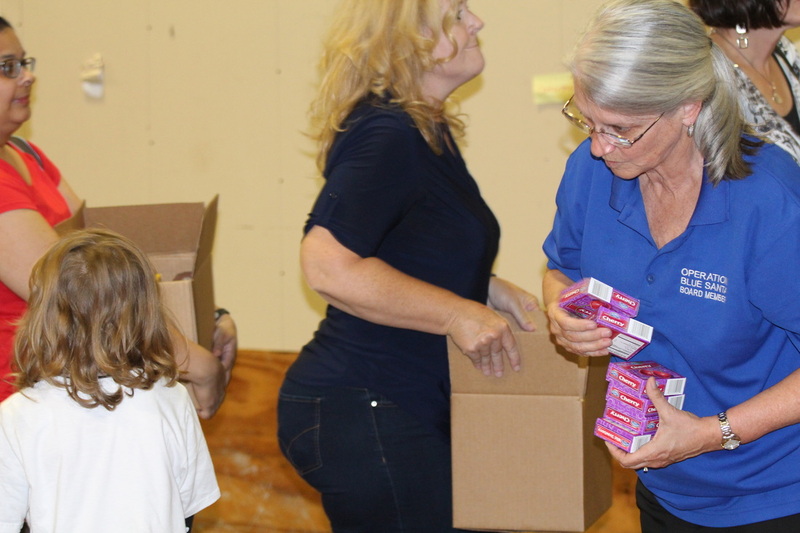 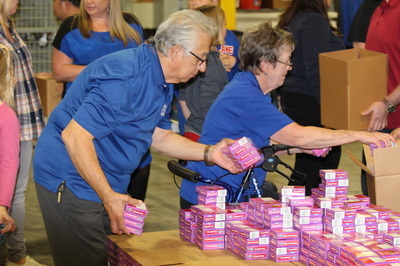 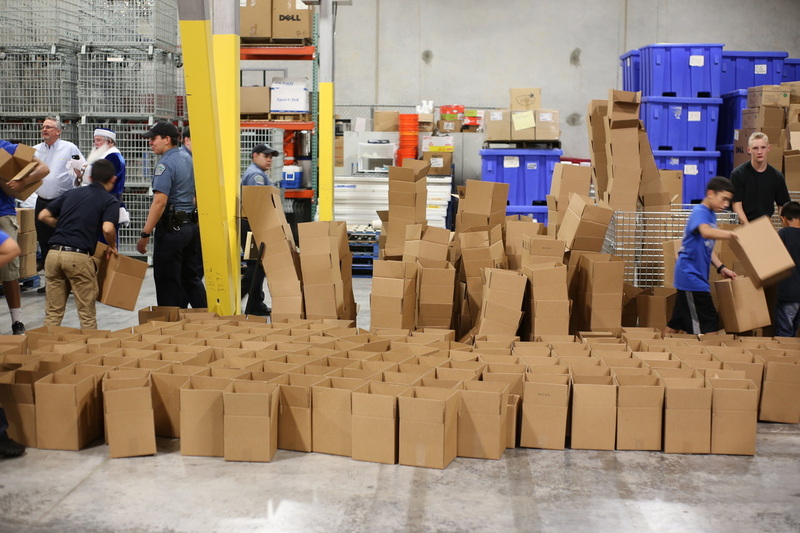 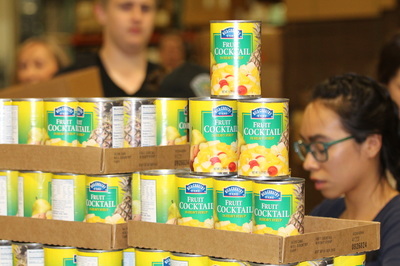 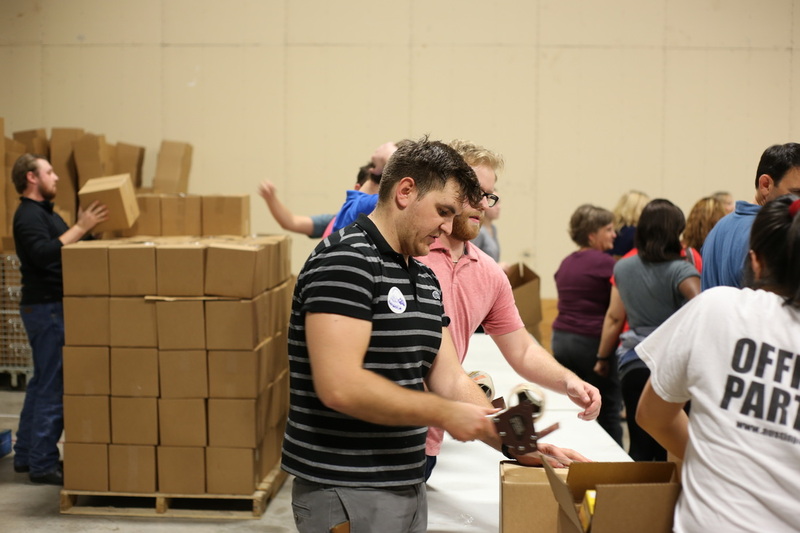 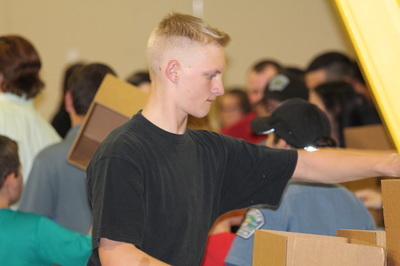 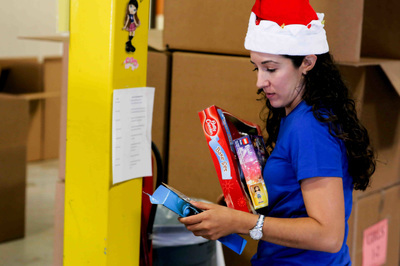 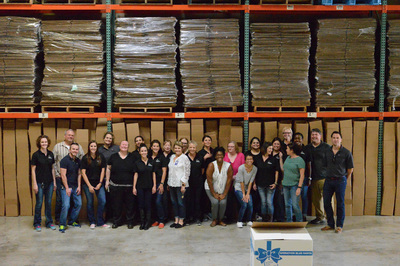 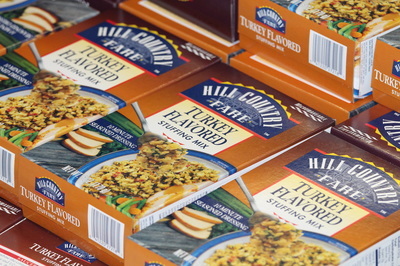 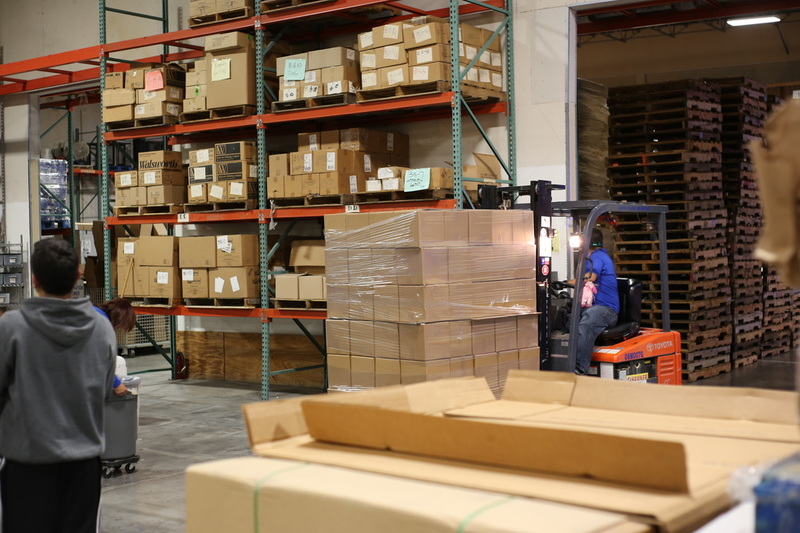 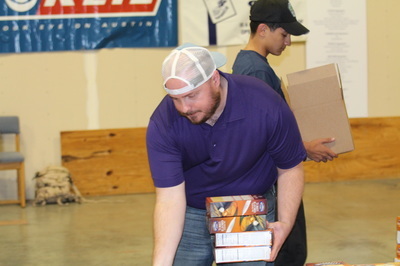 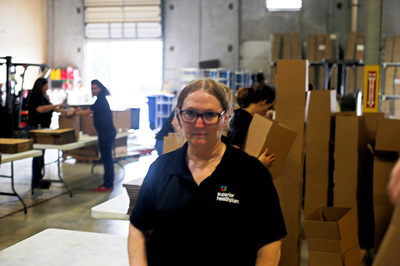 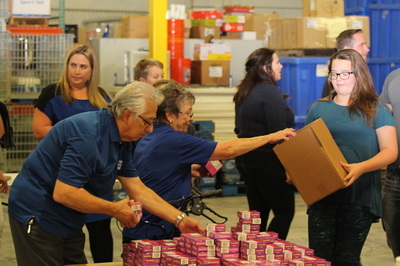 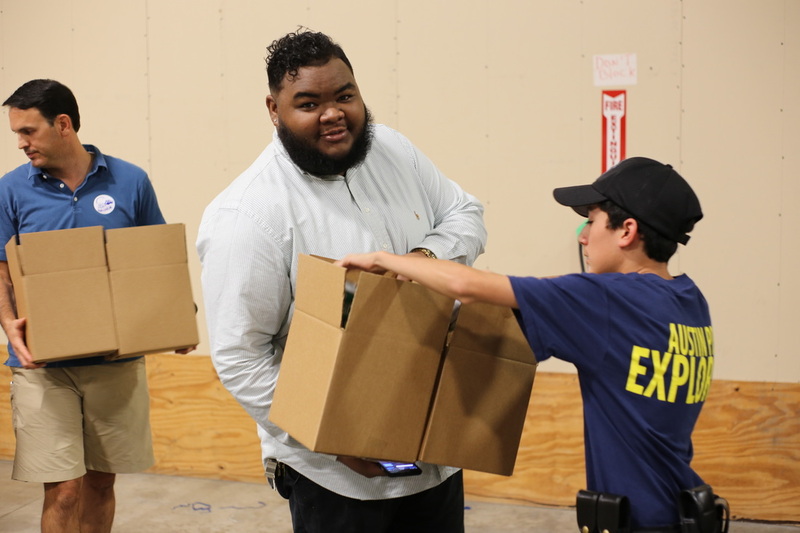 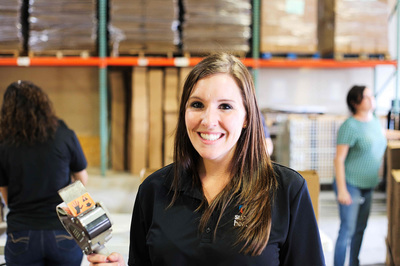 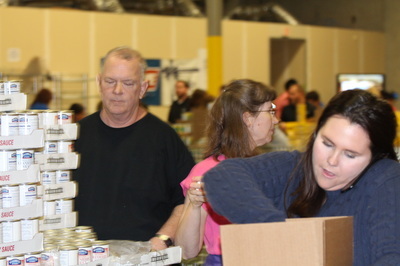 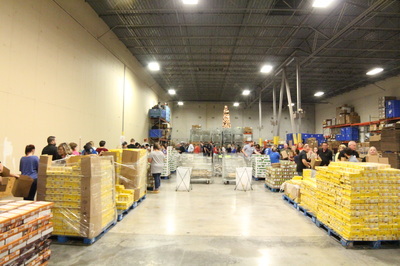 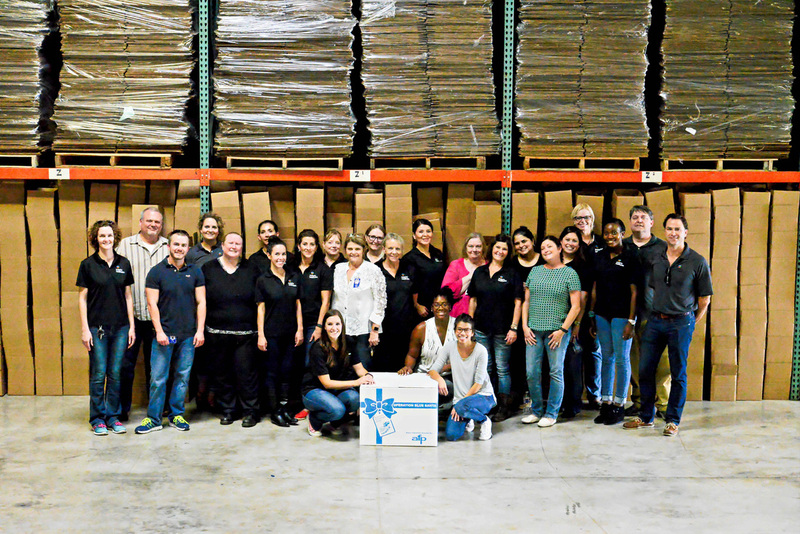 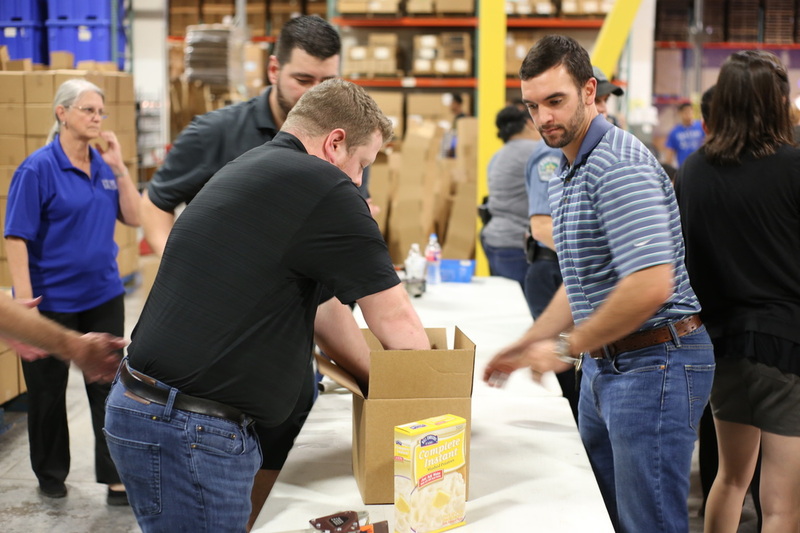 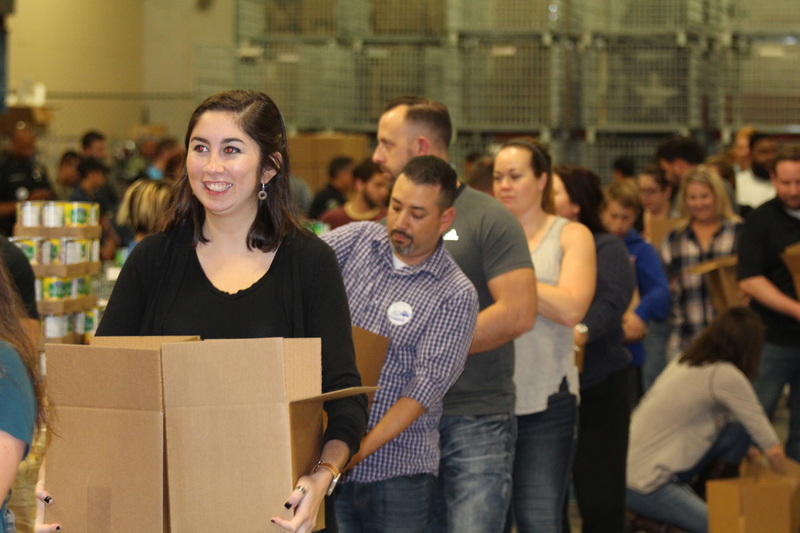 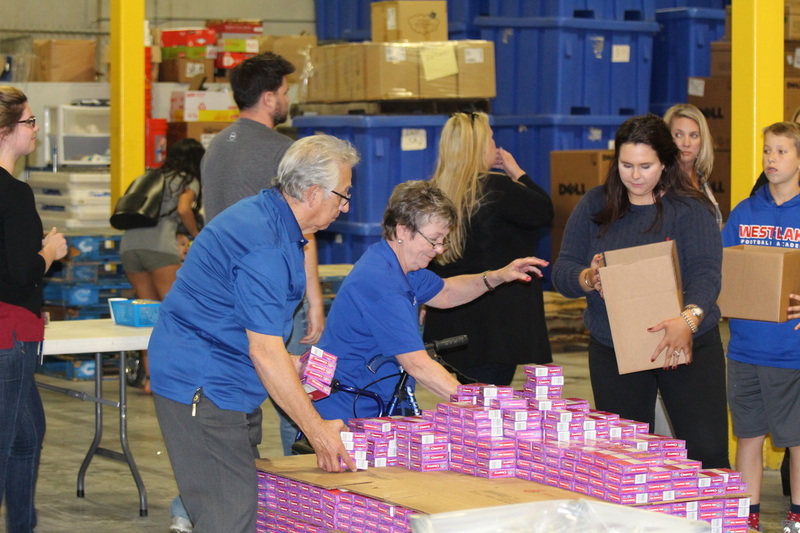 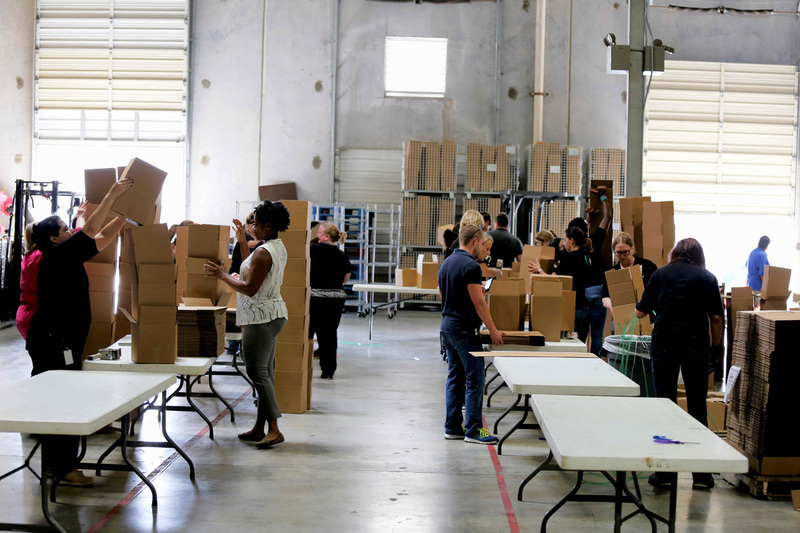 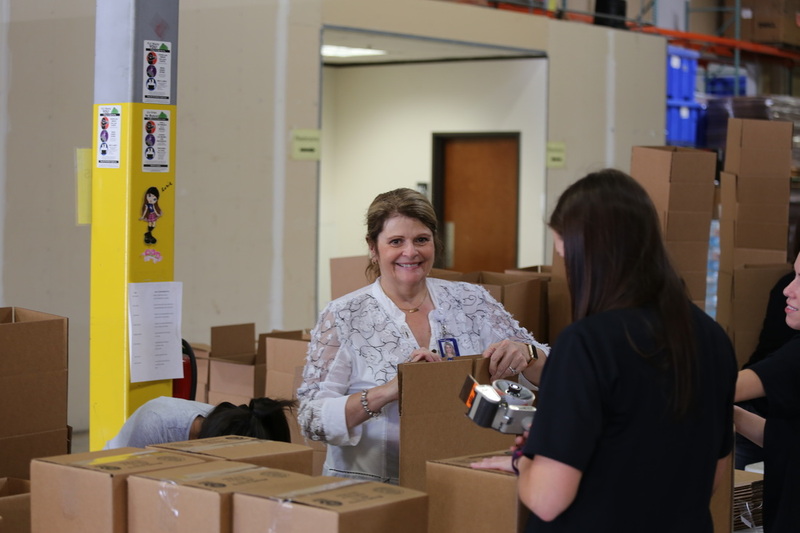 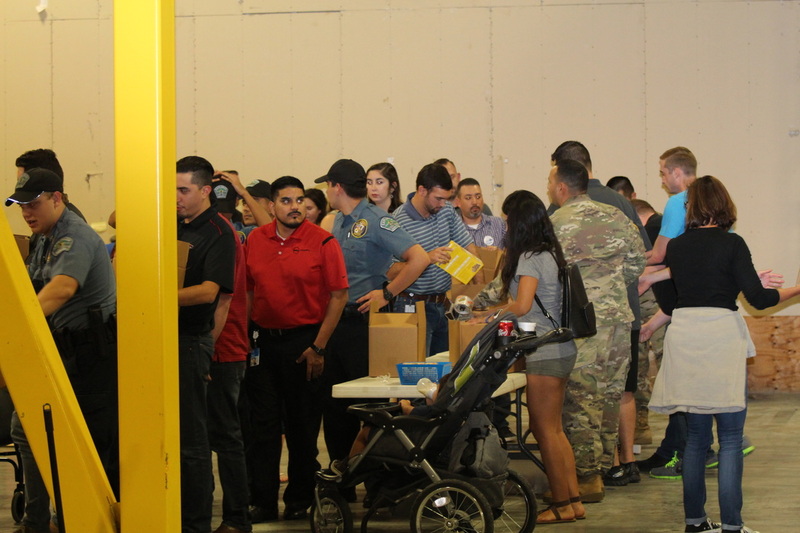 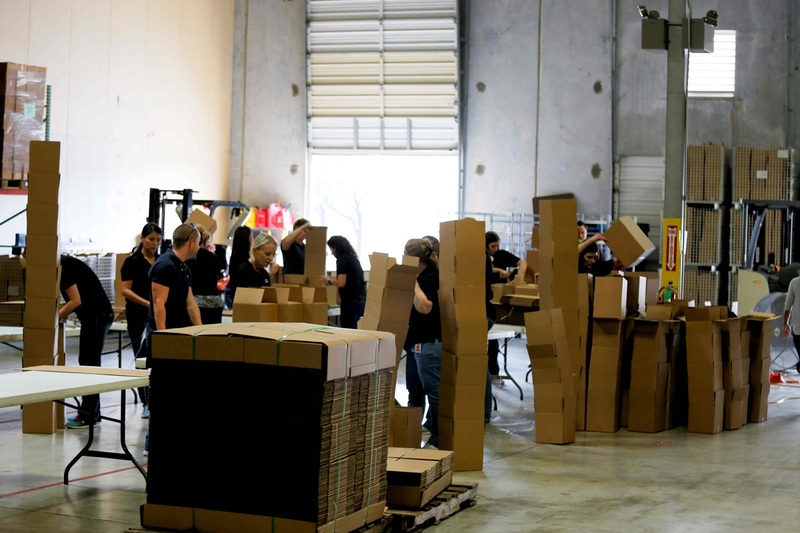 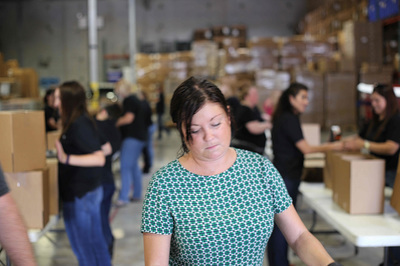 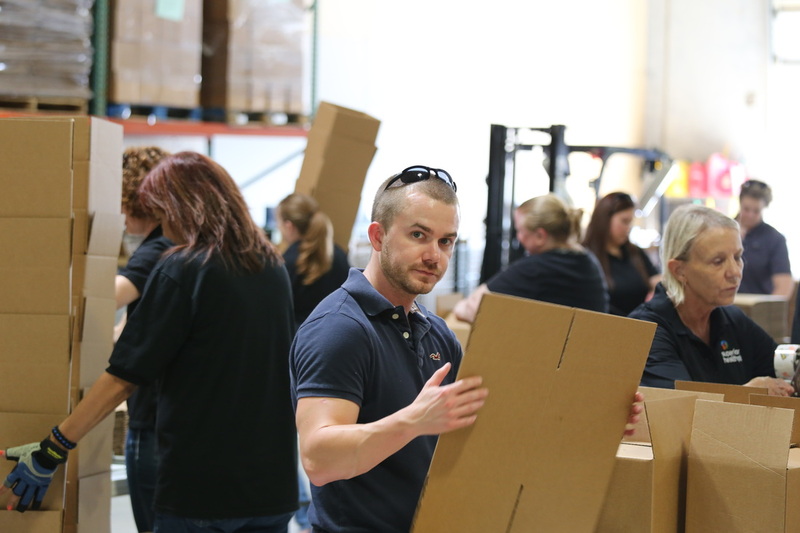 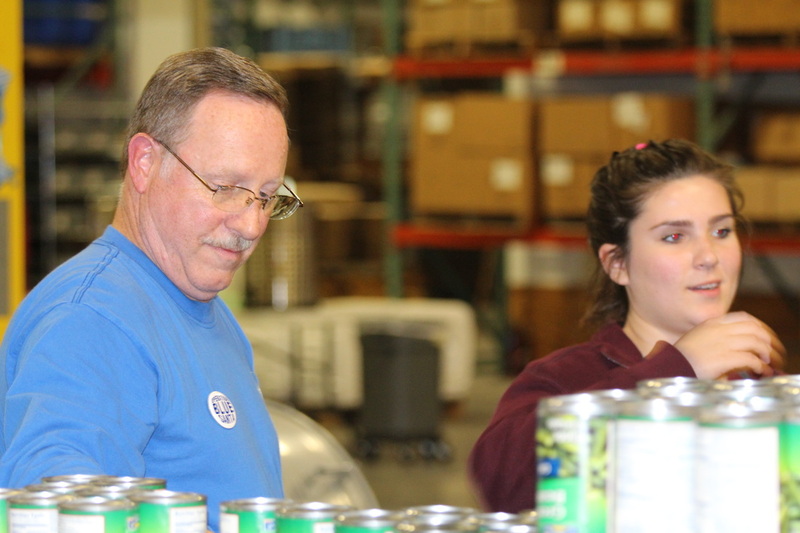 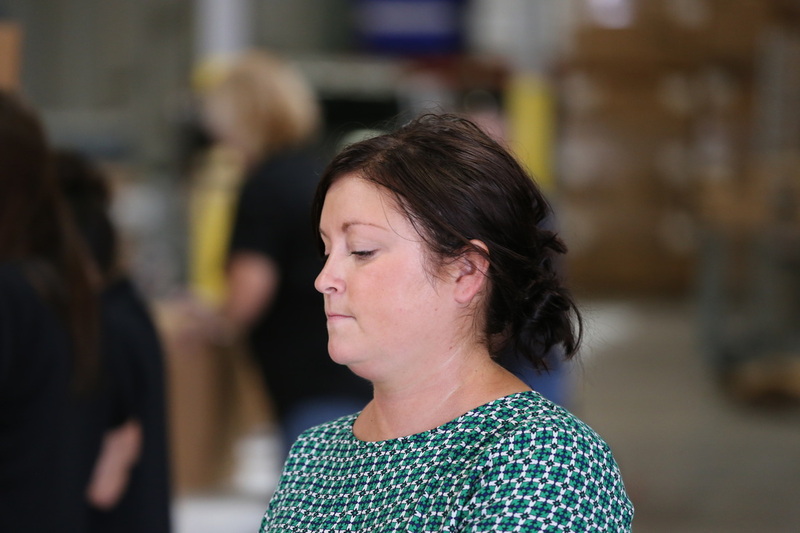 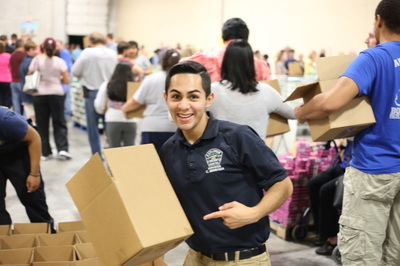 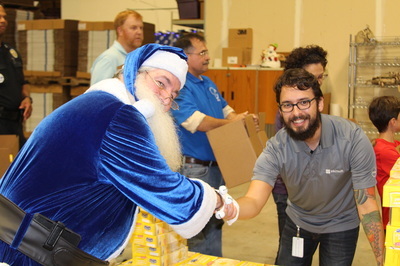 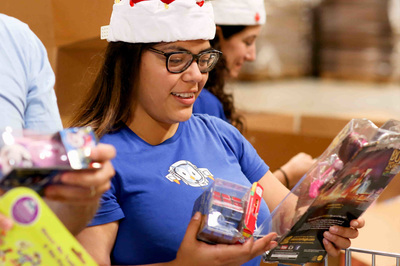 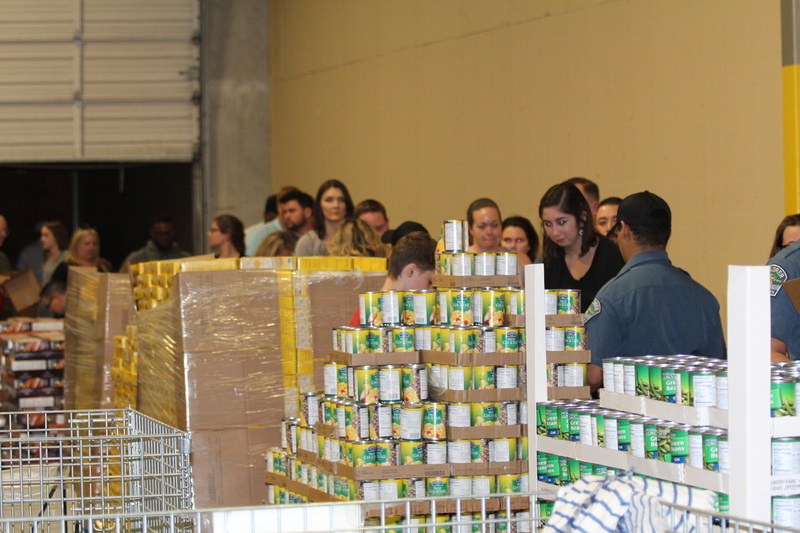 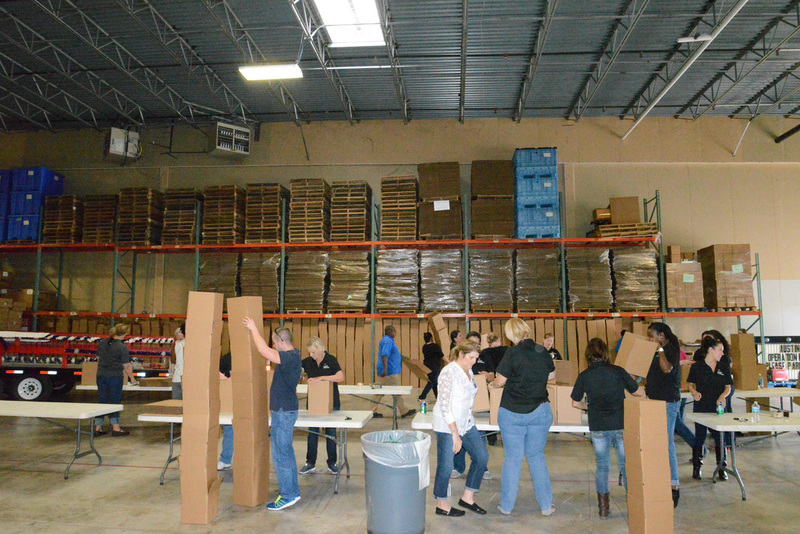 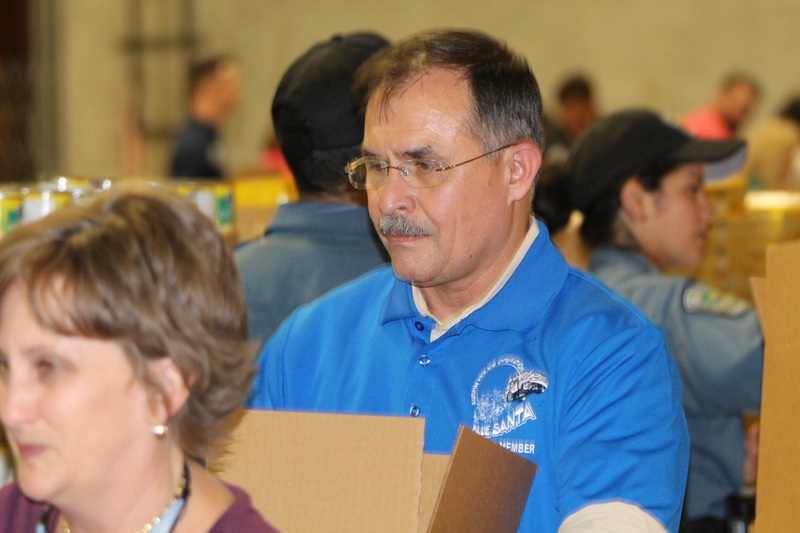 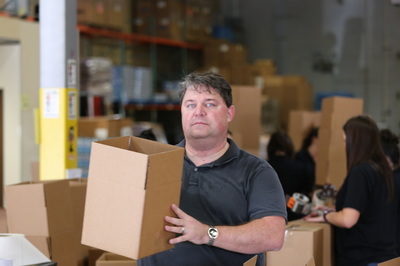 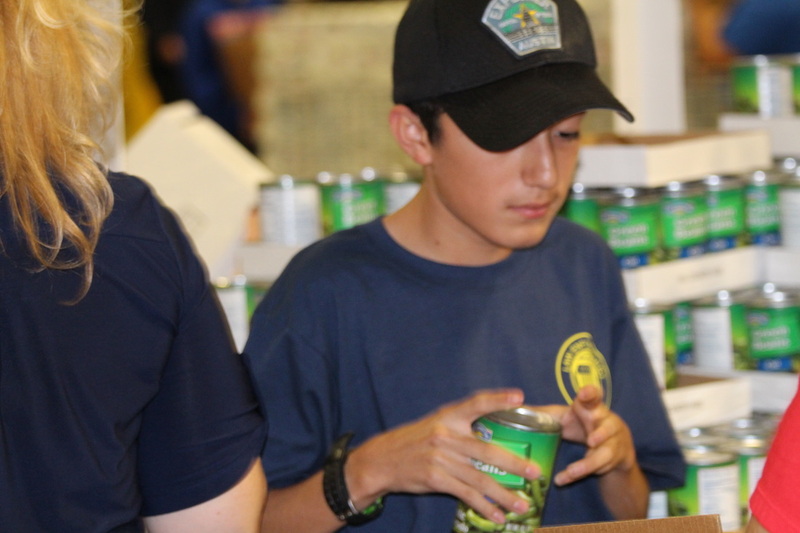 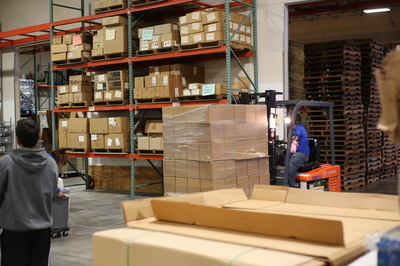 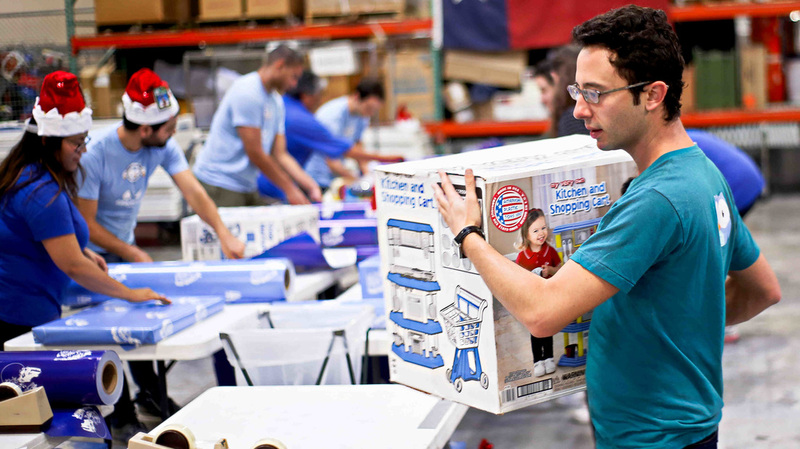 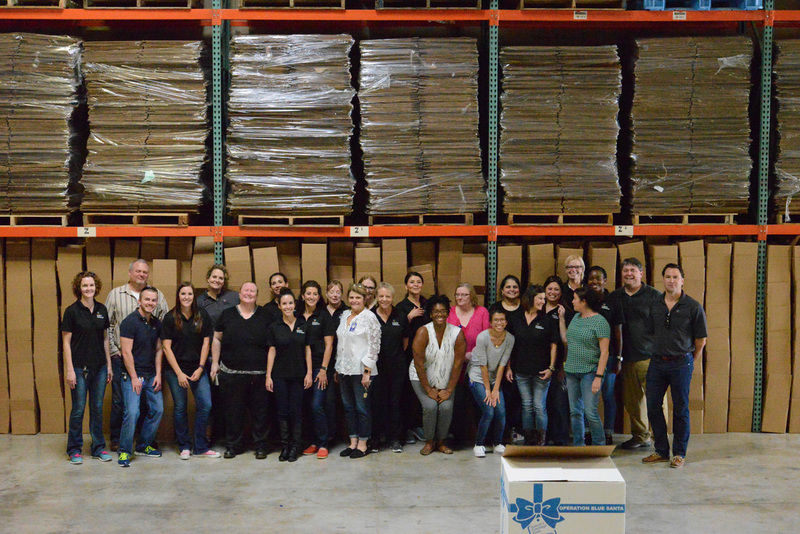 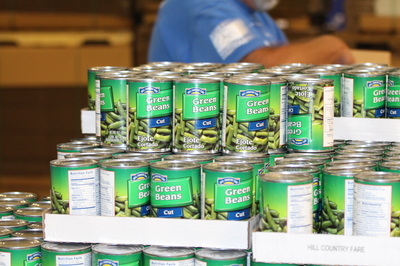 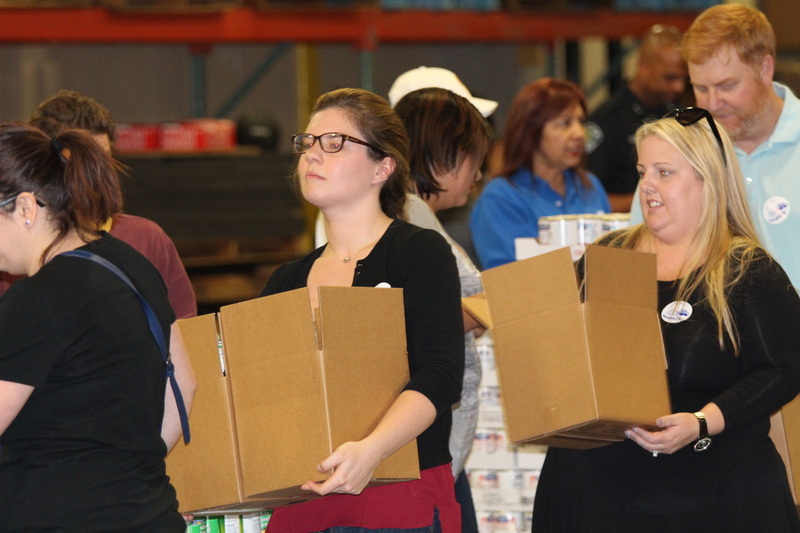 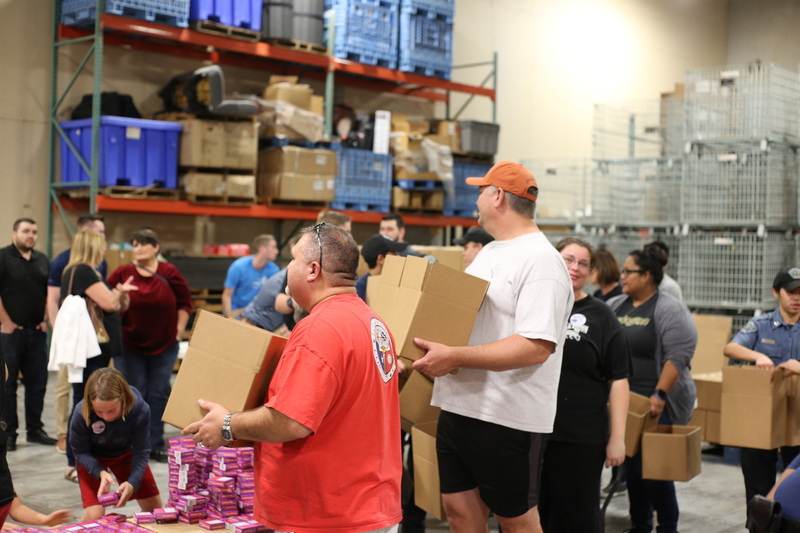 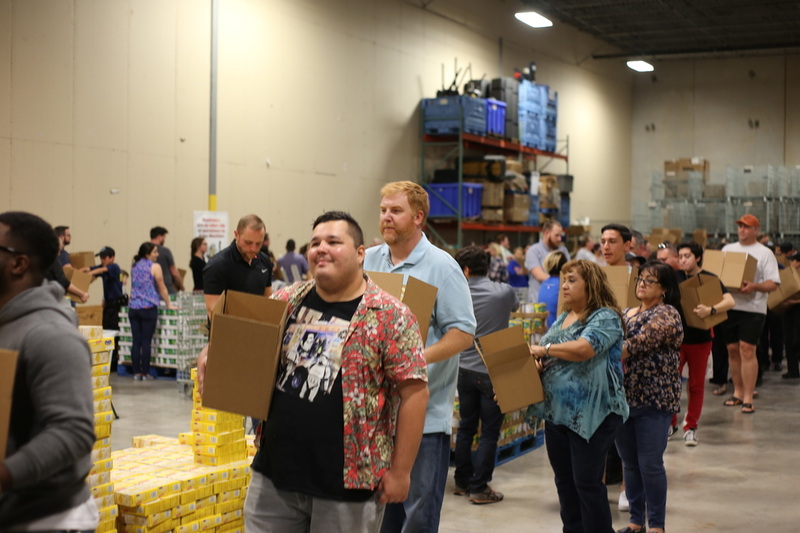 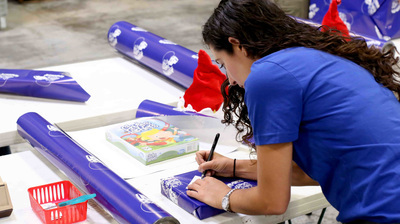 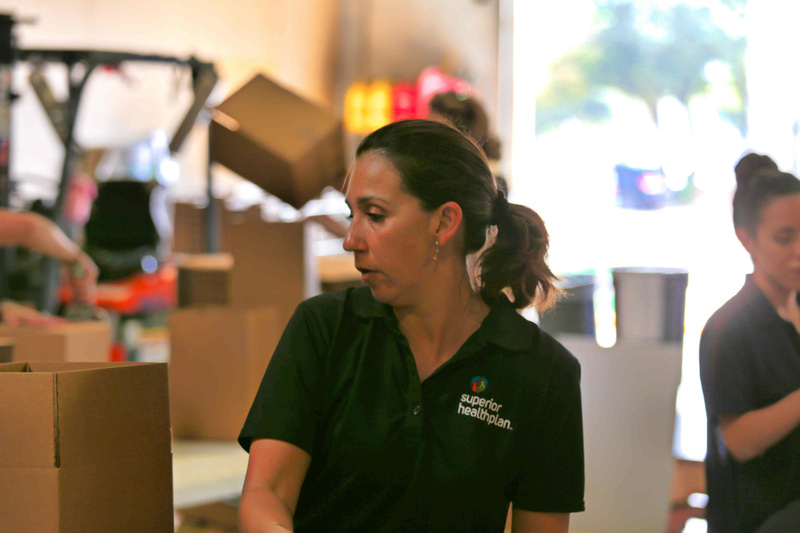 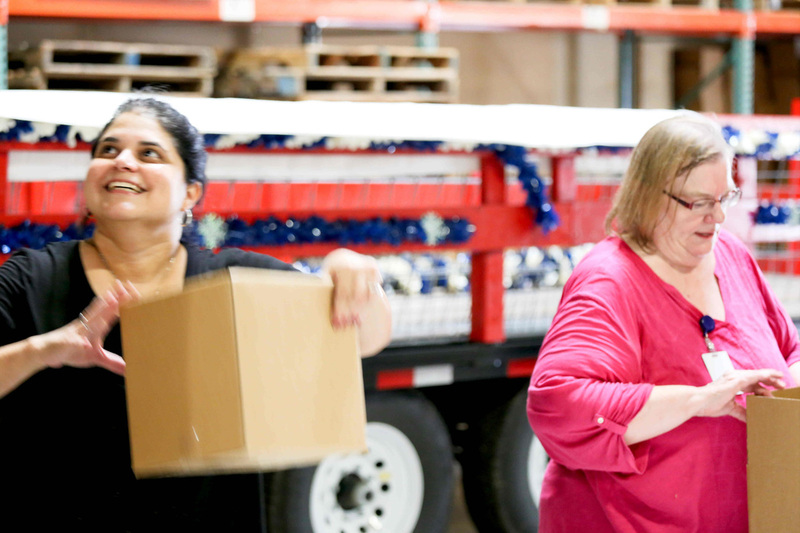 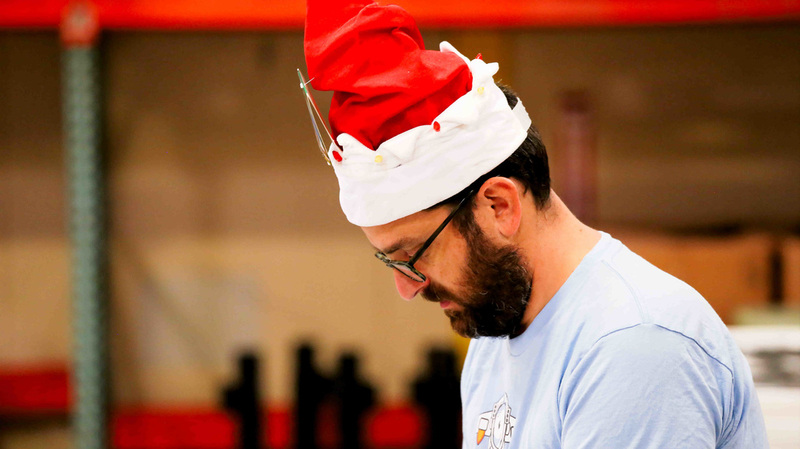 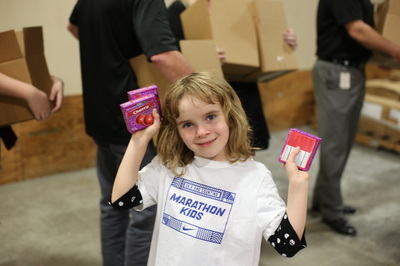 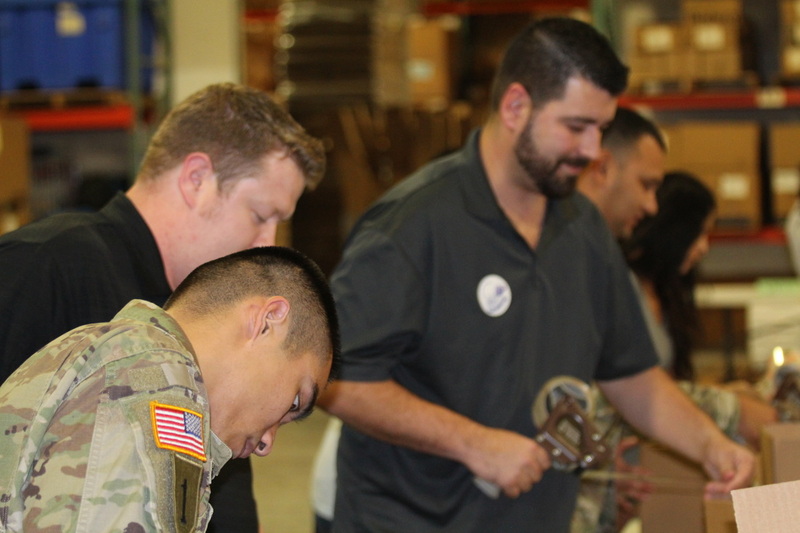 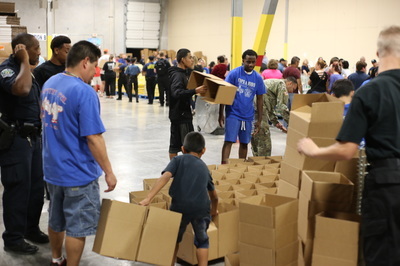 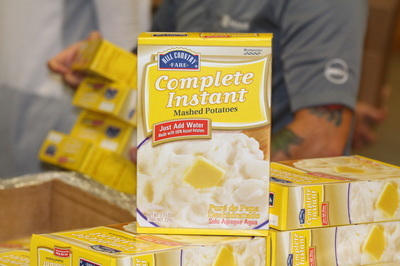 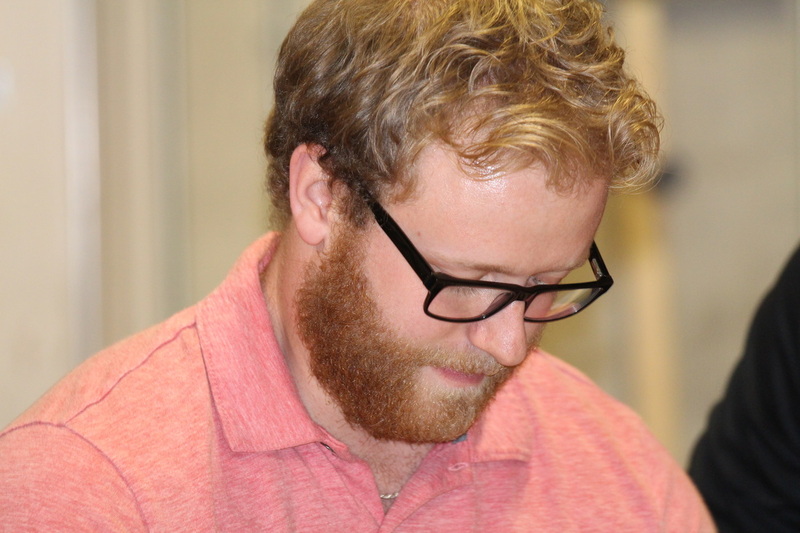 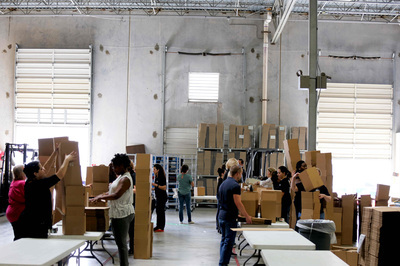 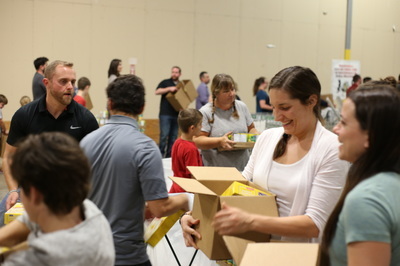 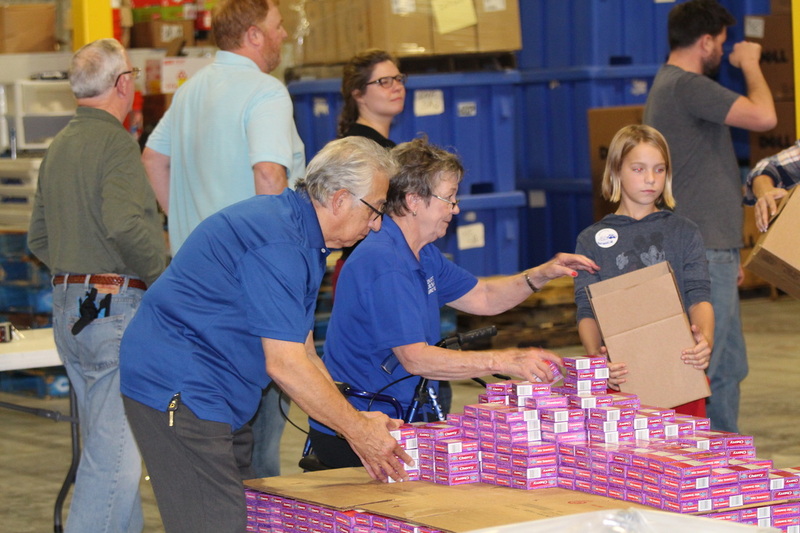 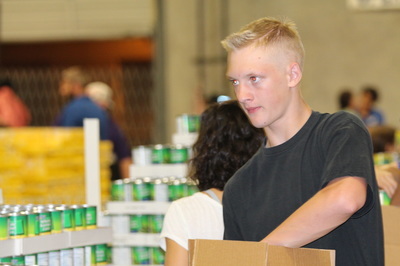 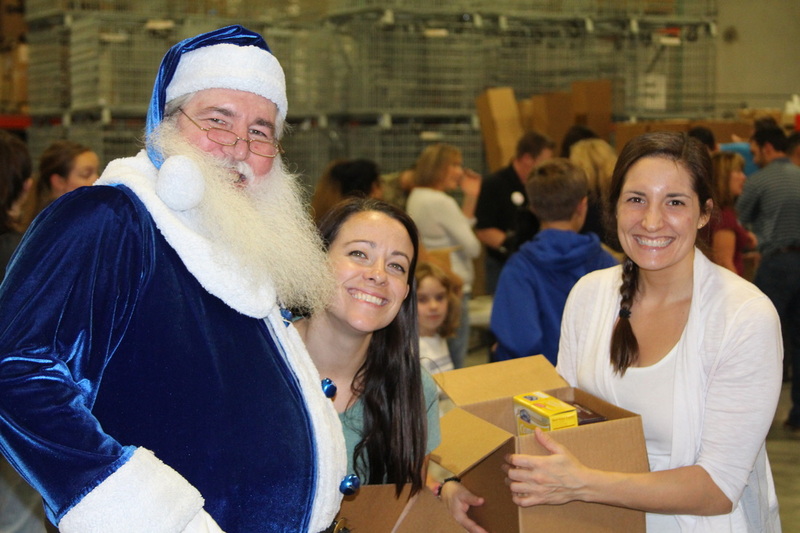 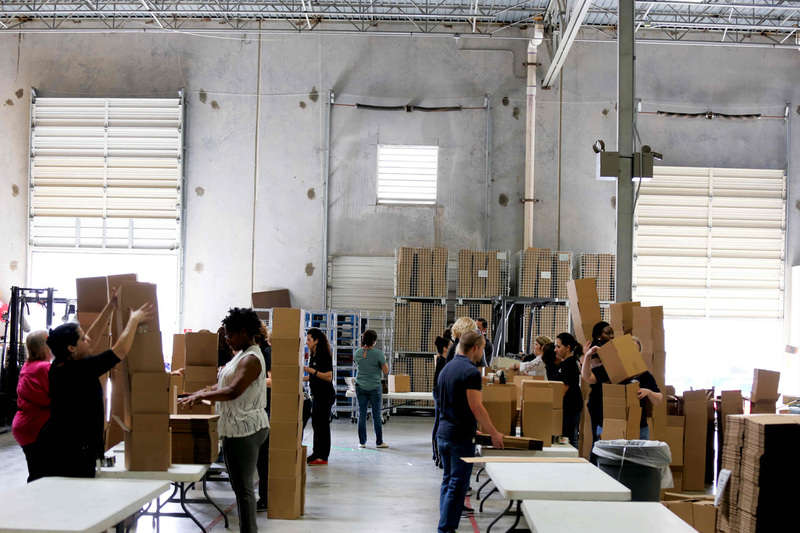 A gaggle of volunteers from Superior Health Plan spent nearly two hour putting together 3,900 boxes, which will hold food for families receiving assistance from Operation Blue Santa! 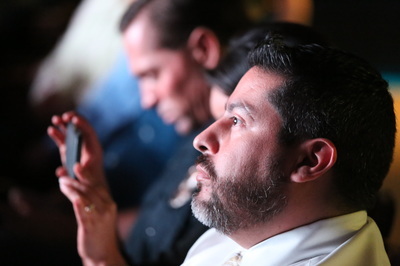 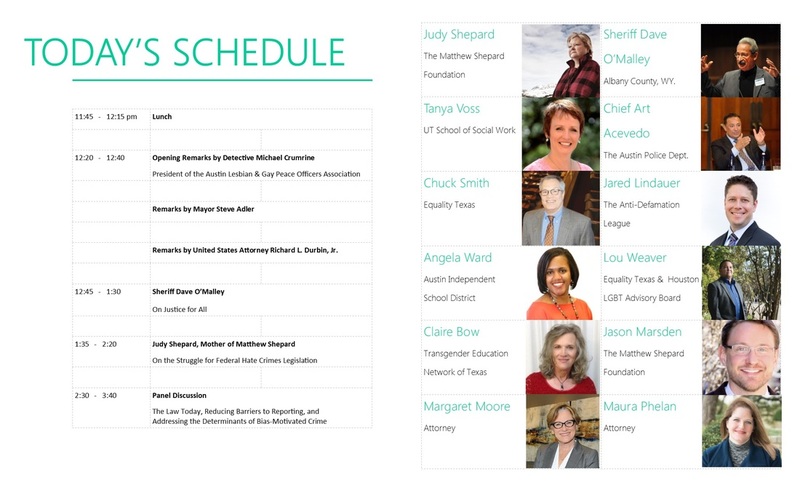 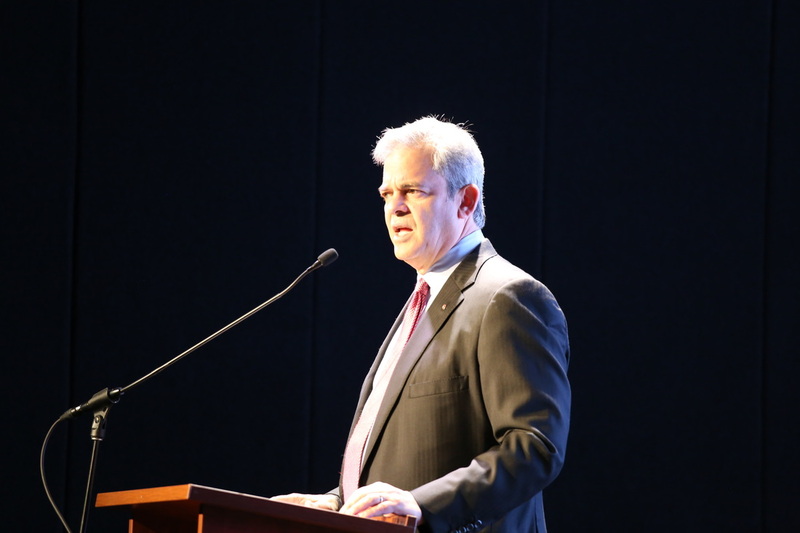 Mayor Steve Adler concluded his opening remarks by announcing his support for the establishment of an LGBTQ quality of life commission to support the health, safety, and quality of life priorities of Austin’s diverse LGBTQ communities. Charles Loosen, APD Liaison to LGBTQ constituents, has worked with stakeholders for over two years to advance this community-driven proposal. 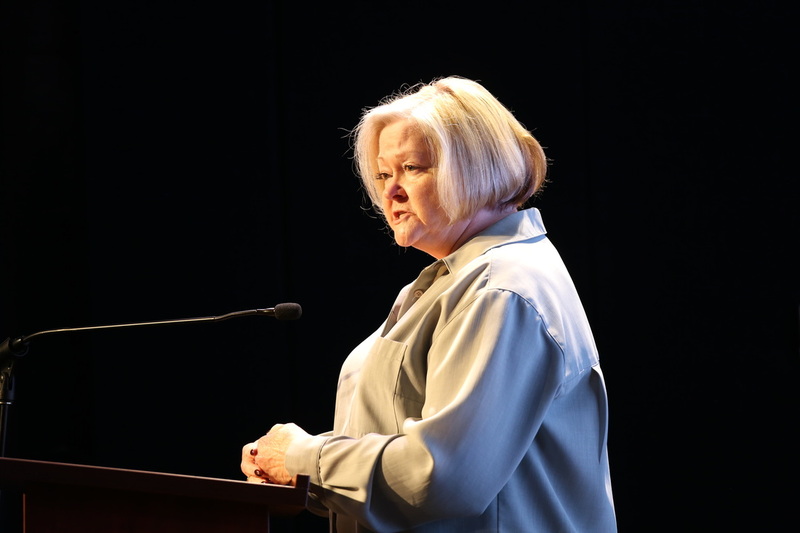 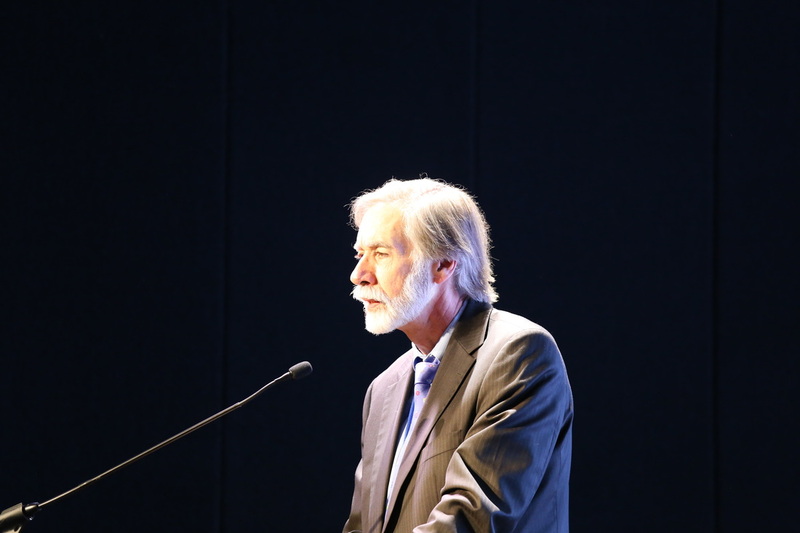 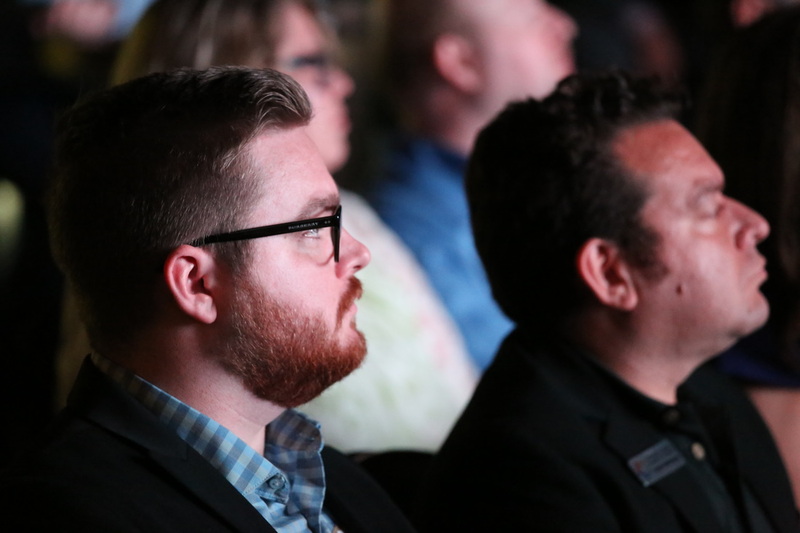 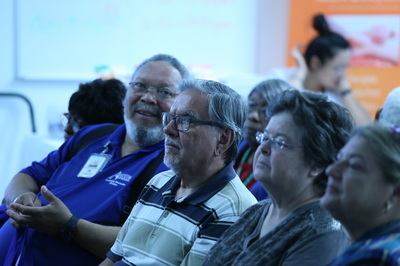 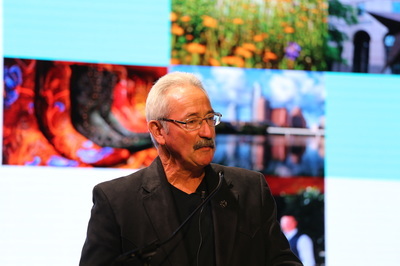 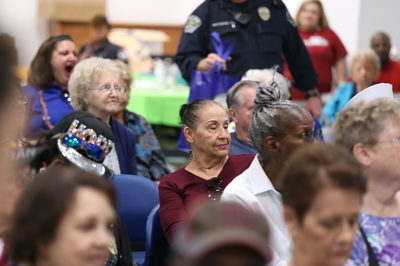 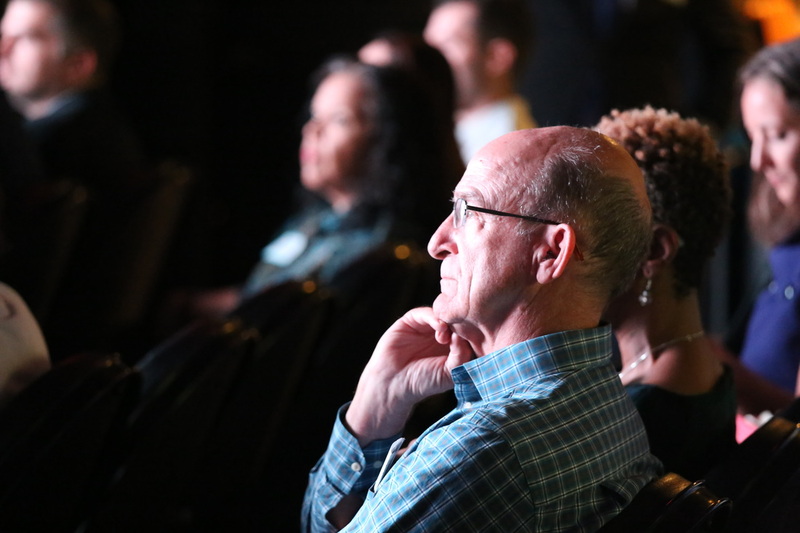 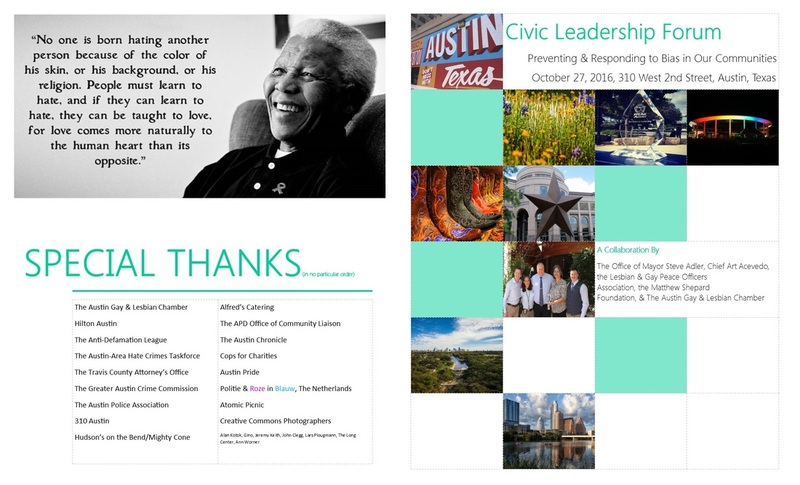 Austin will now join Houston as the second city in Texas to establish this type of advisory commission, further crystalizing Austin’s status as one of the most LGBTQ-friendly cities in the nation and the top retirement location for LGBTQ seniors. 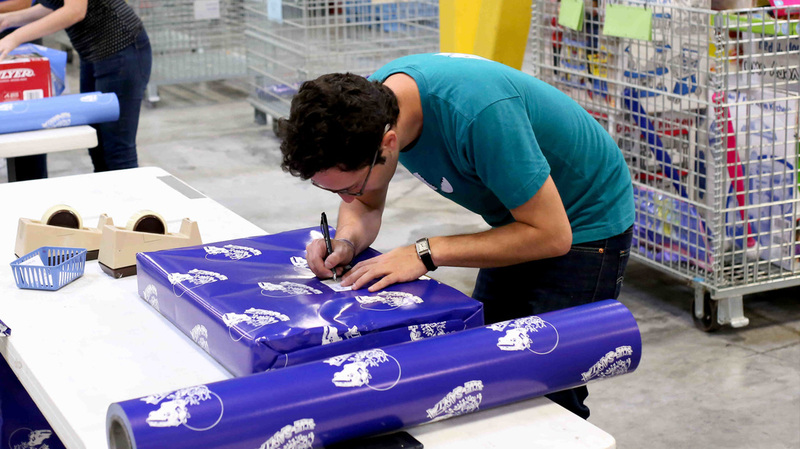 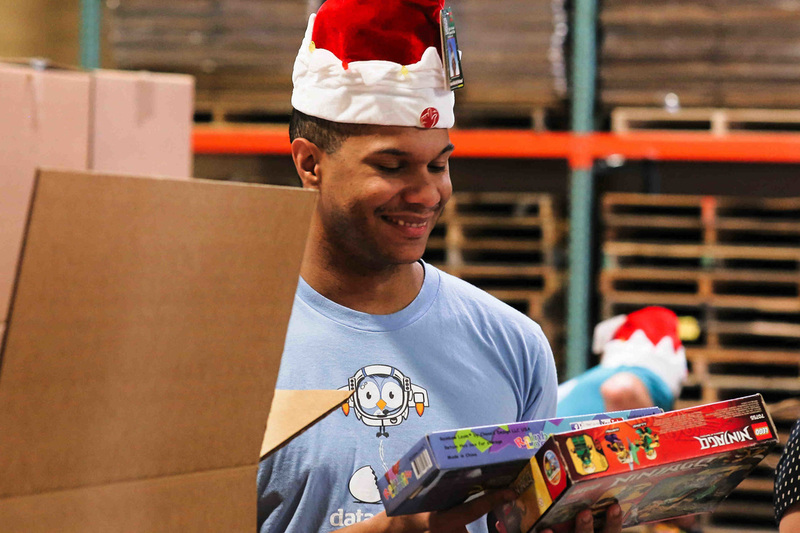 Data.World came and sorted and wrapped presents. First volunteer group of the 2016 season! 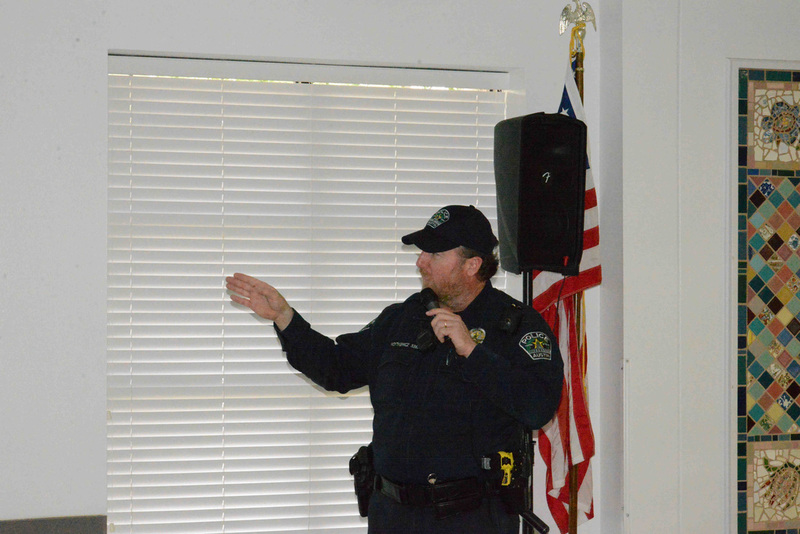 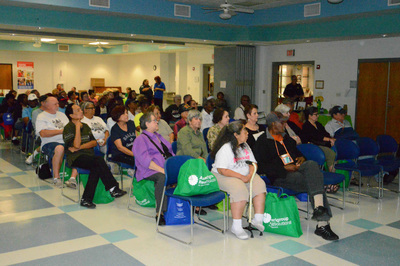 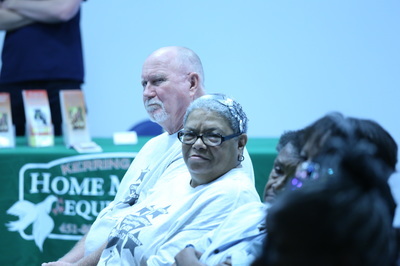 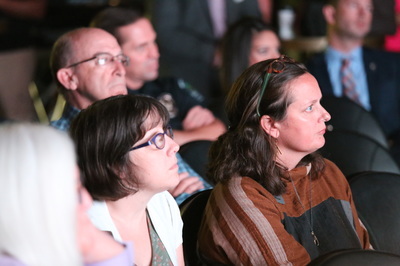 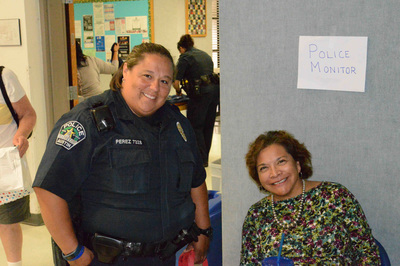 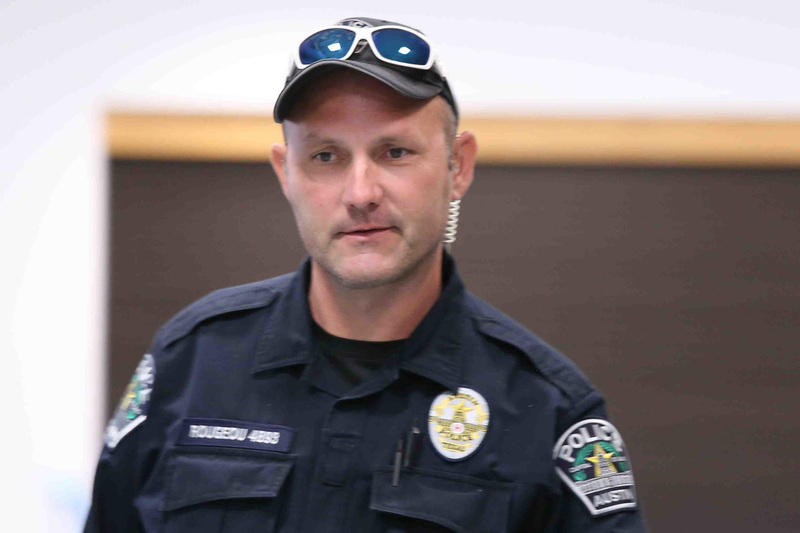 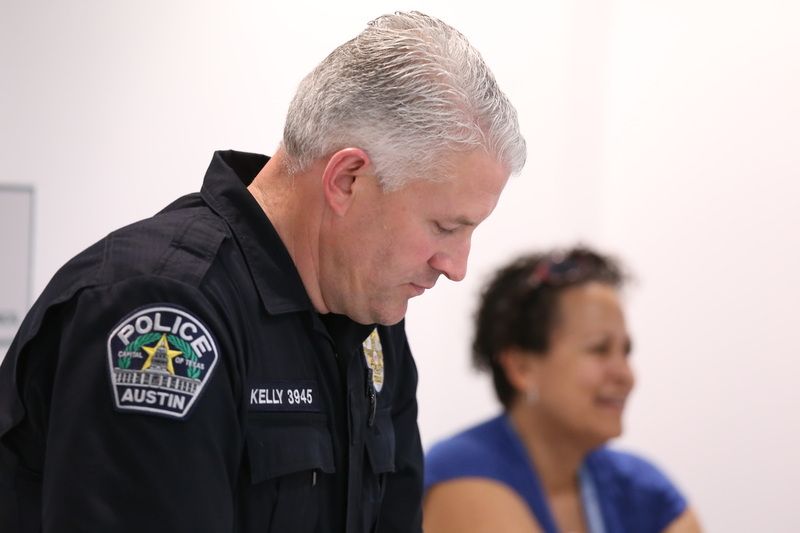 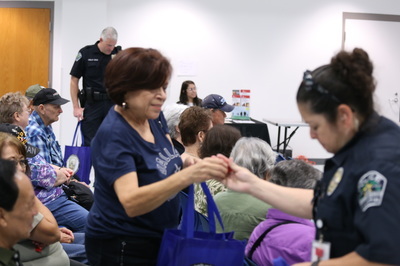 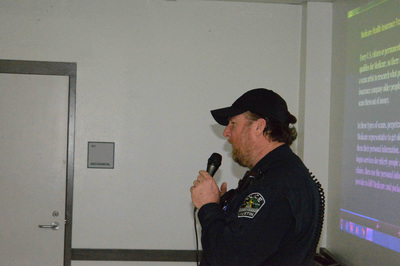 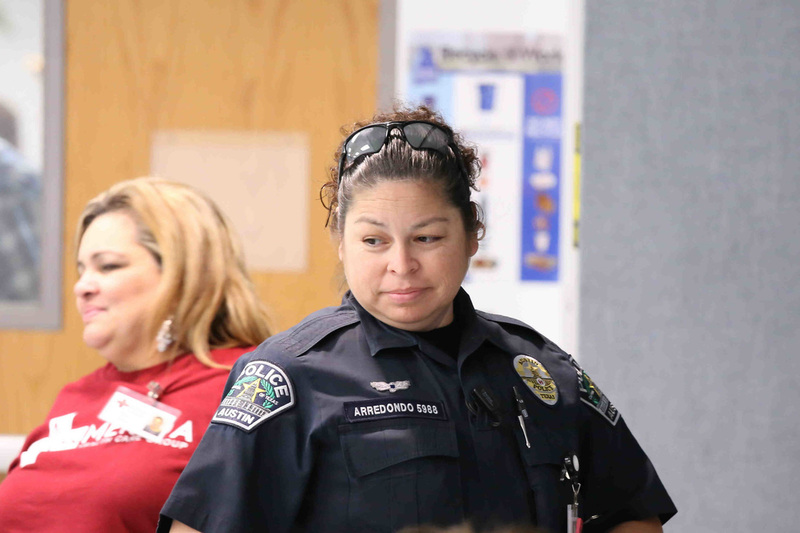 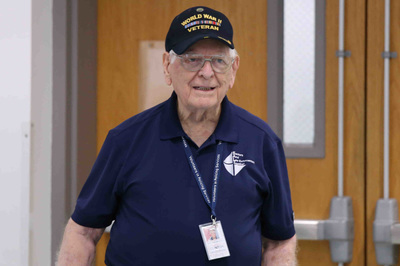 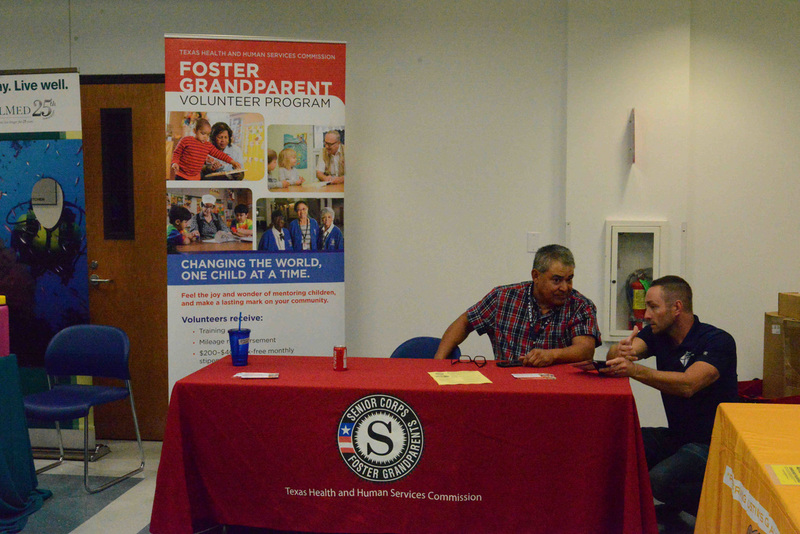 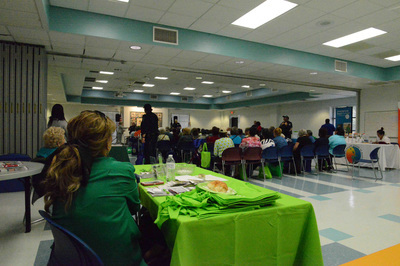 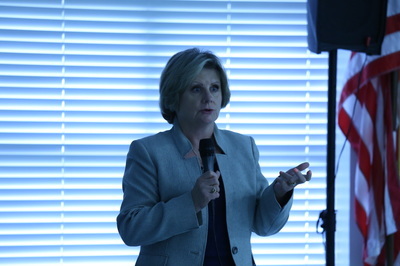 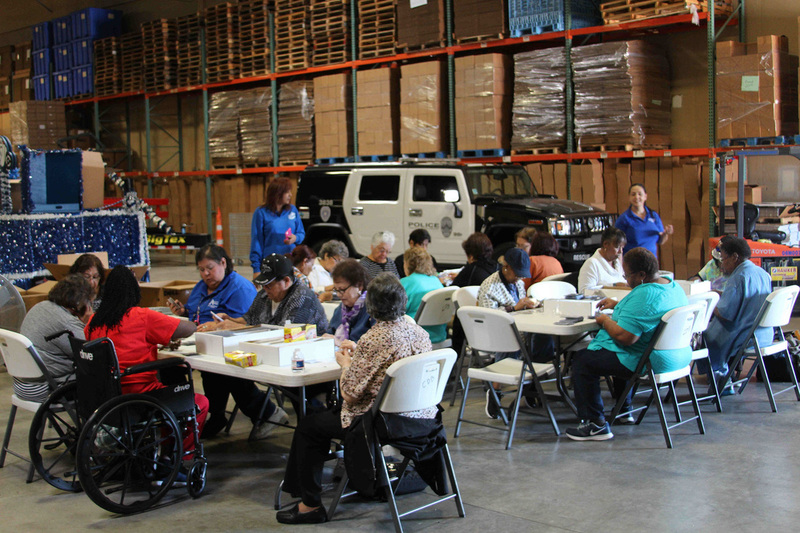 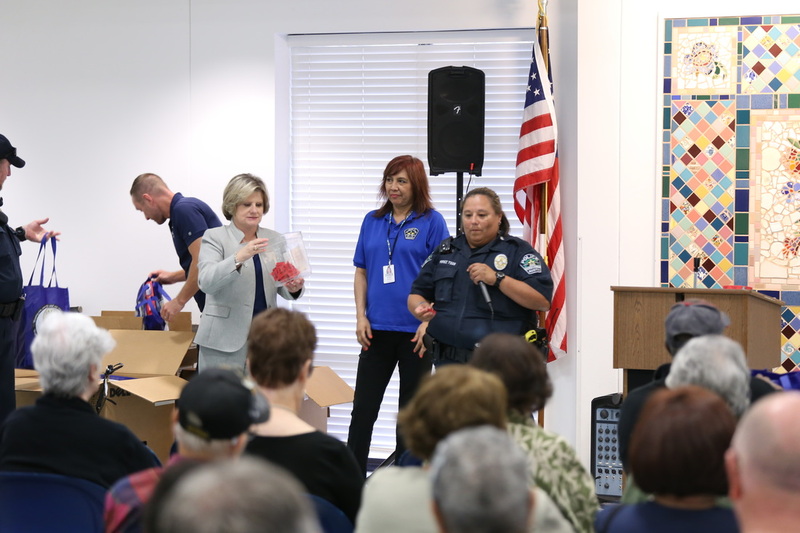 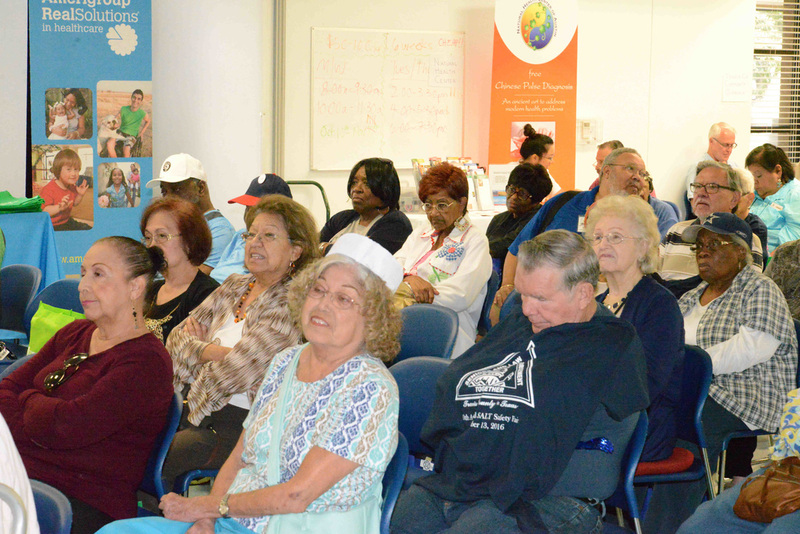 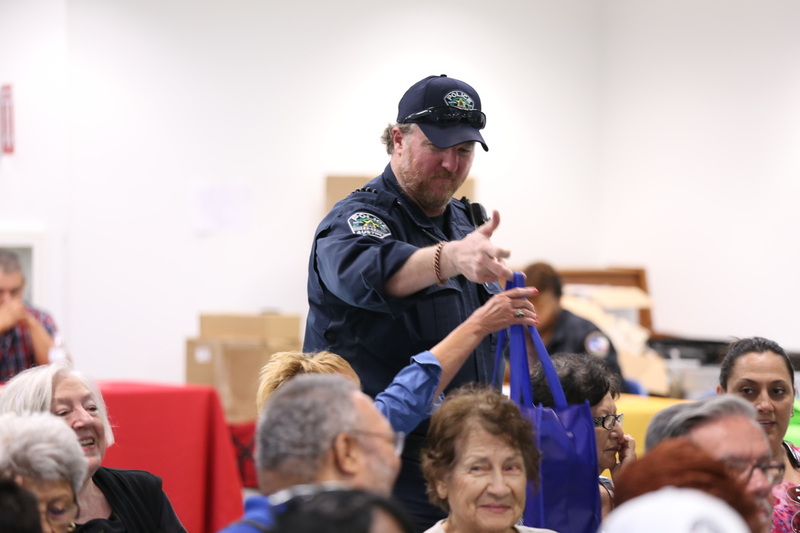 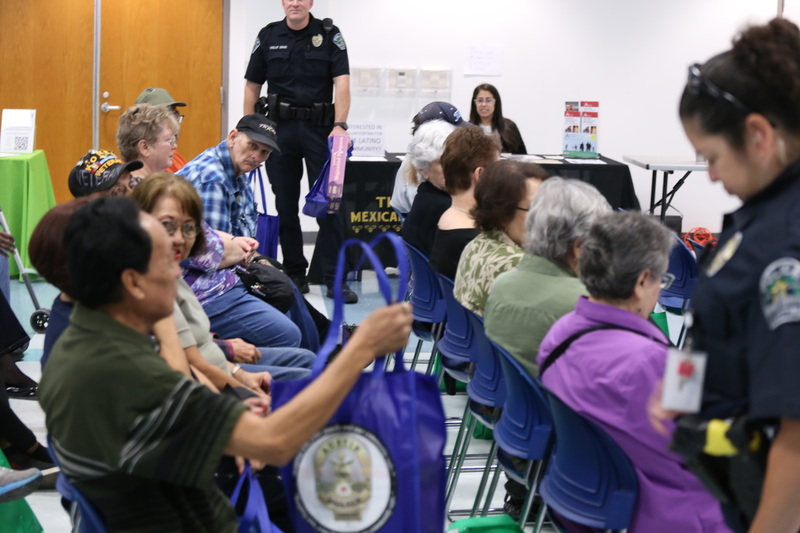 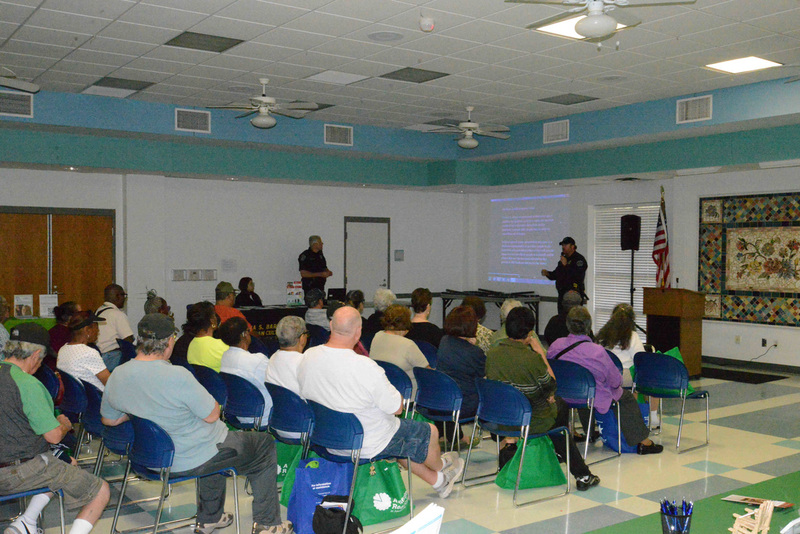 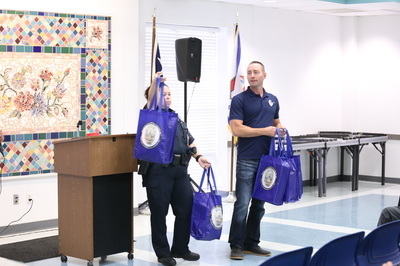 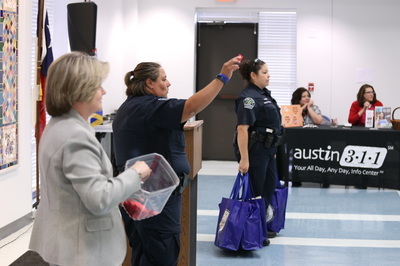 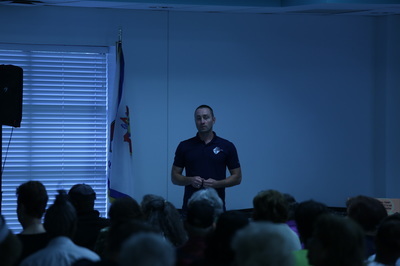 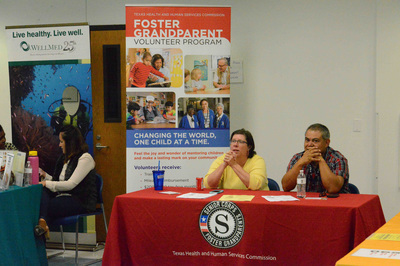 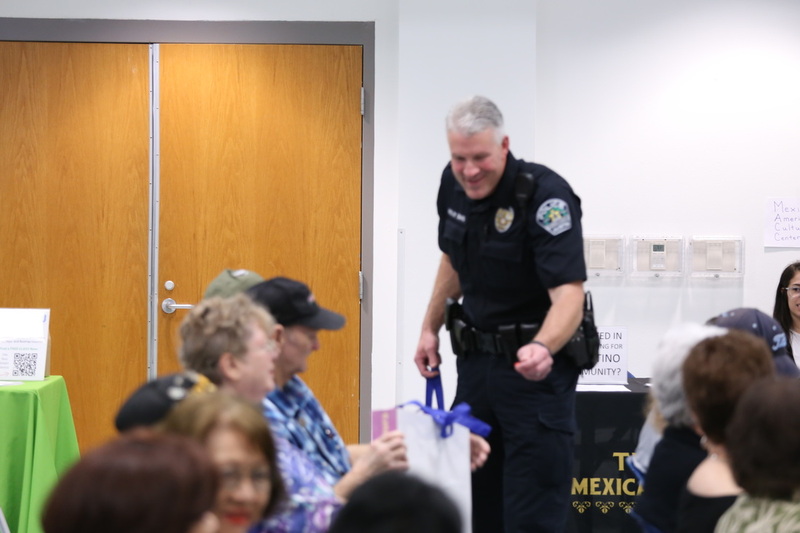 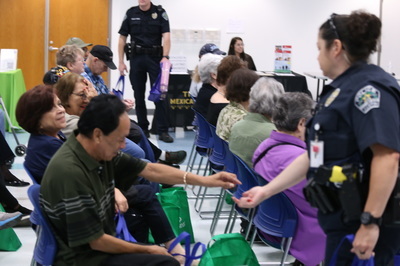 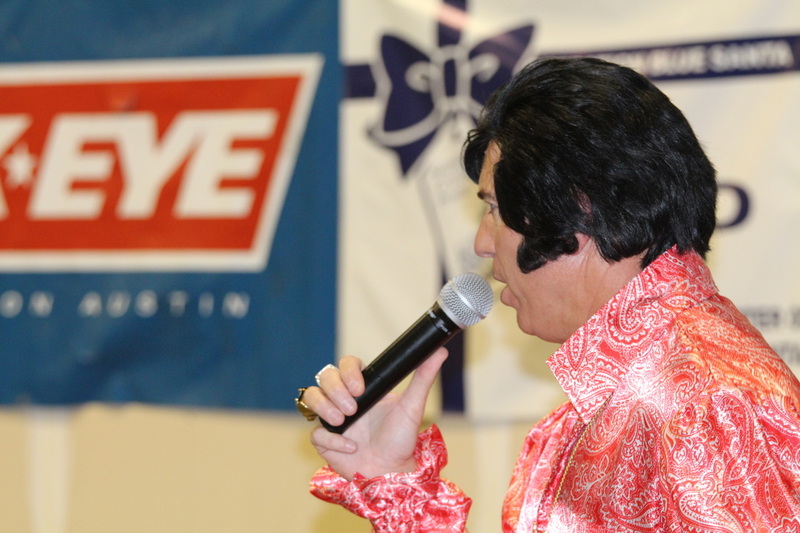 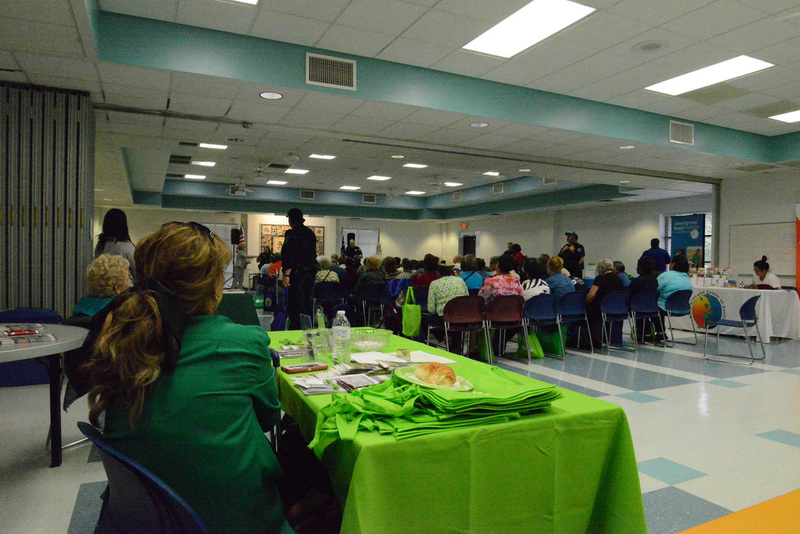 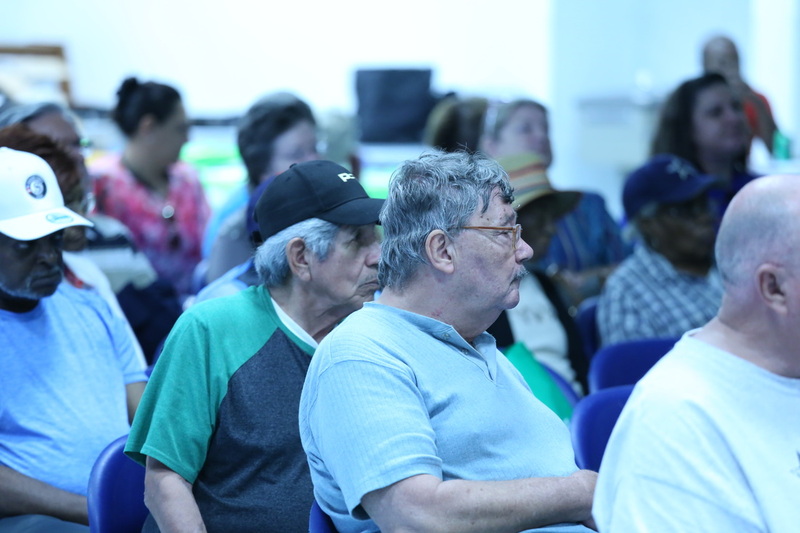 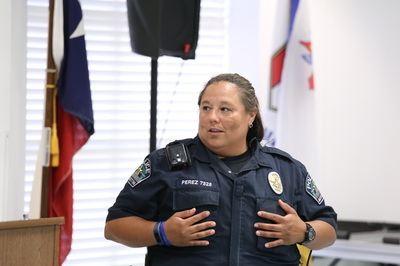 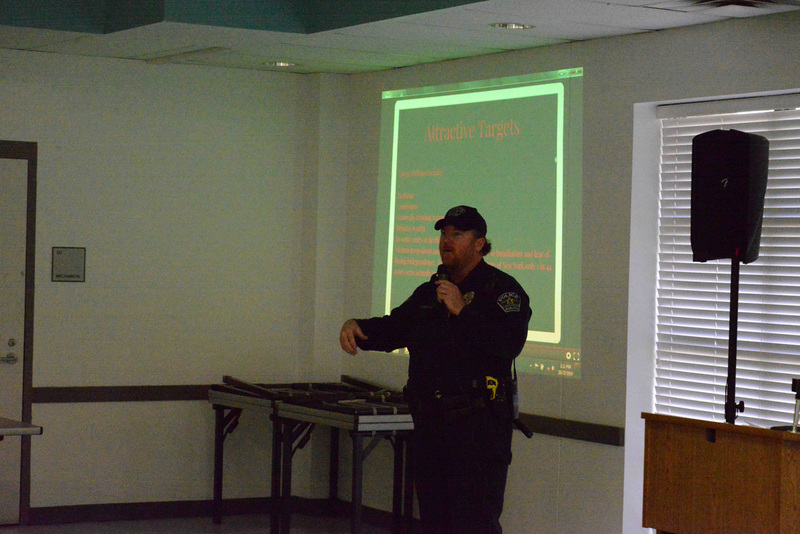 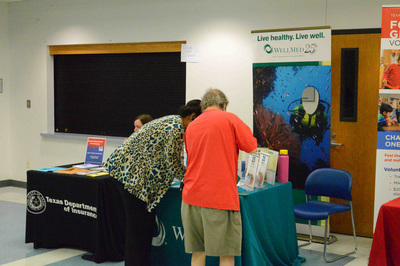 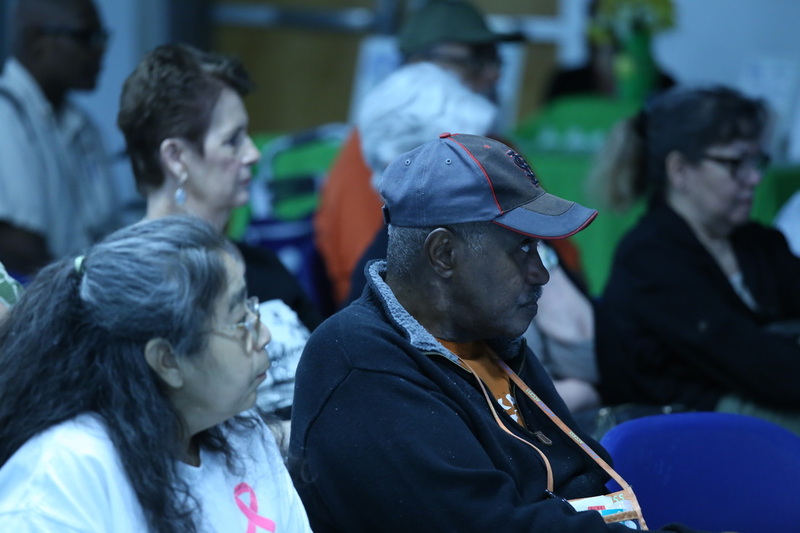 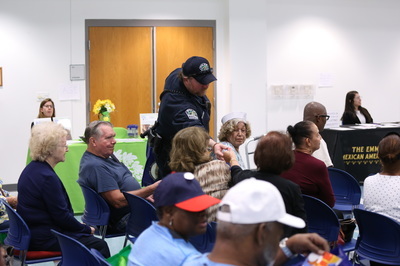 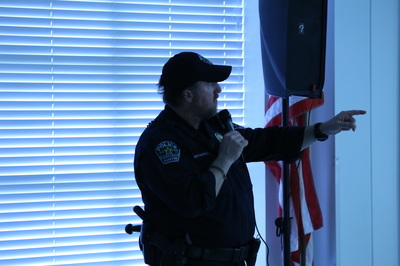 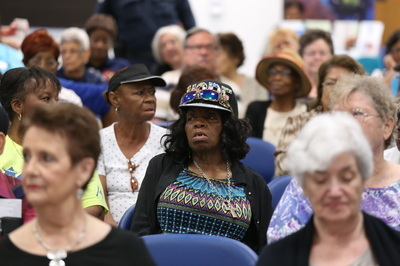 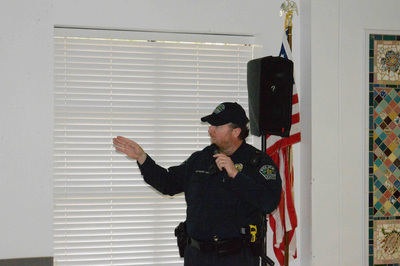 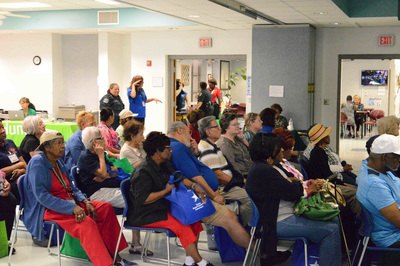 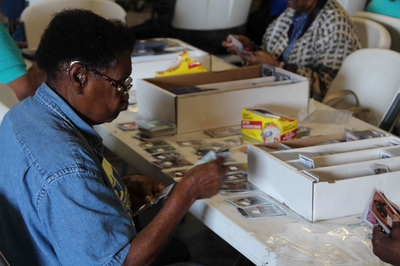 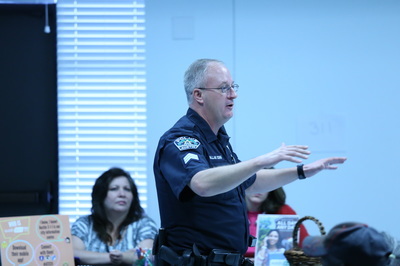 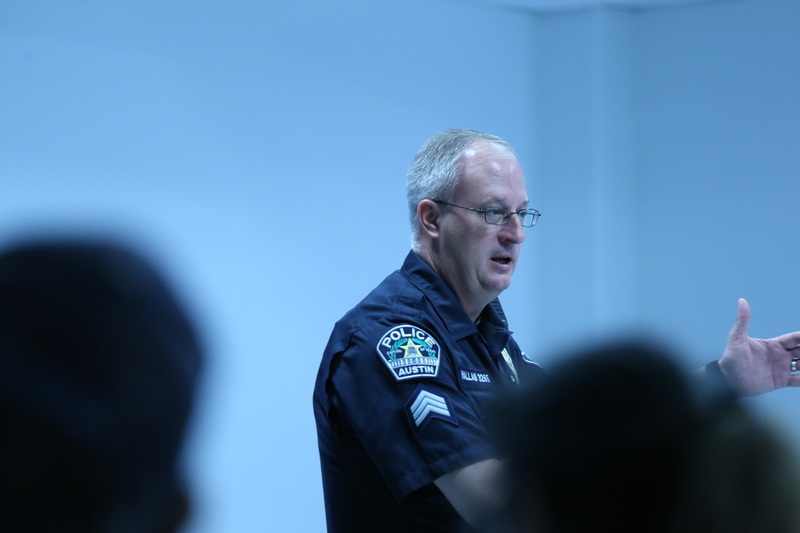 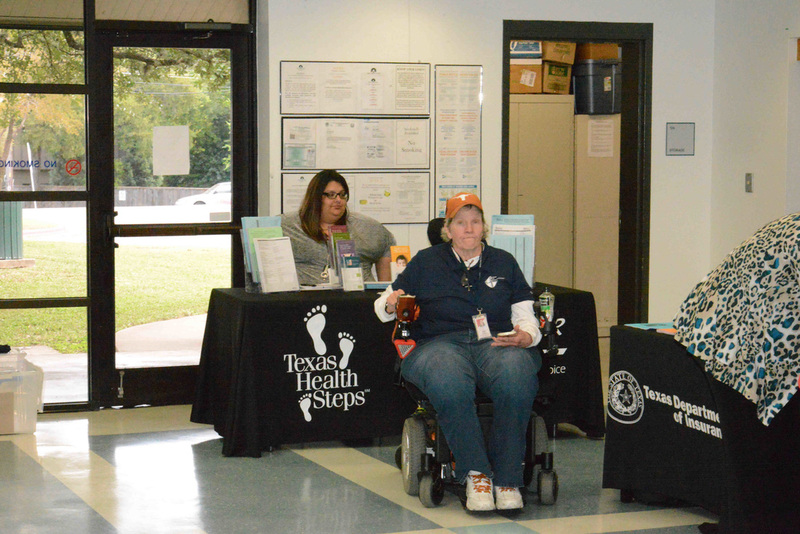 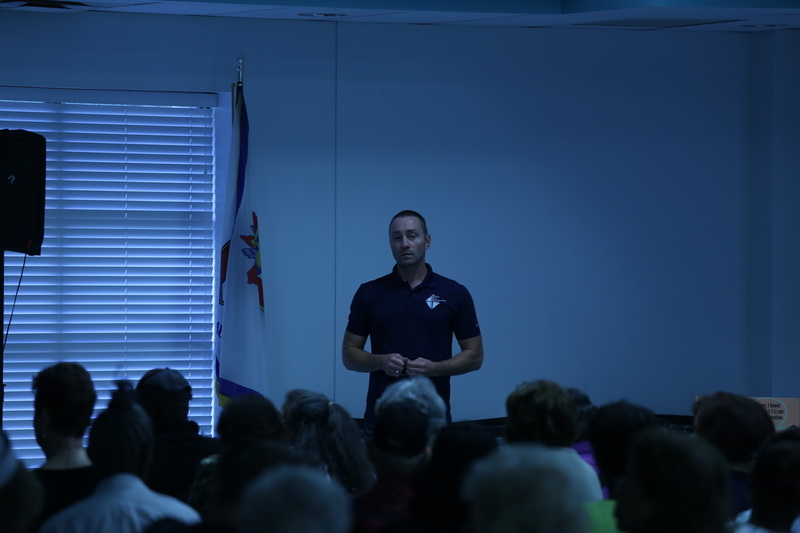 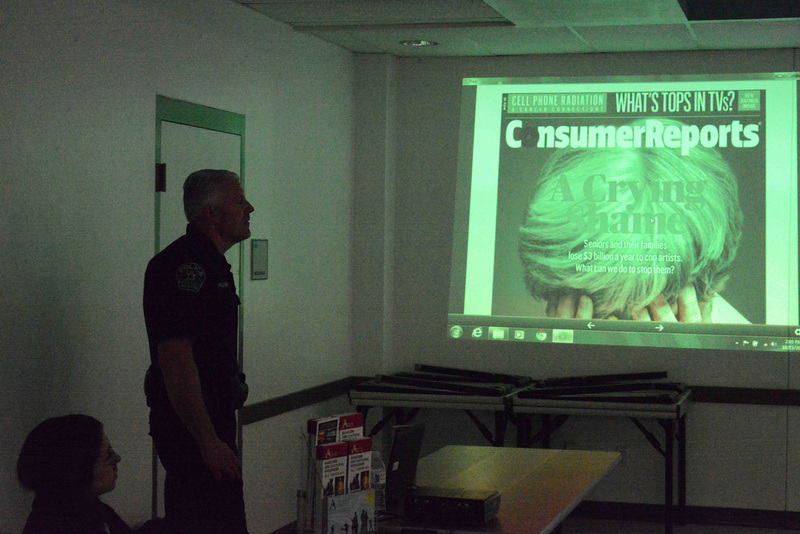 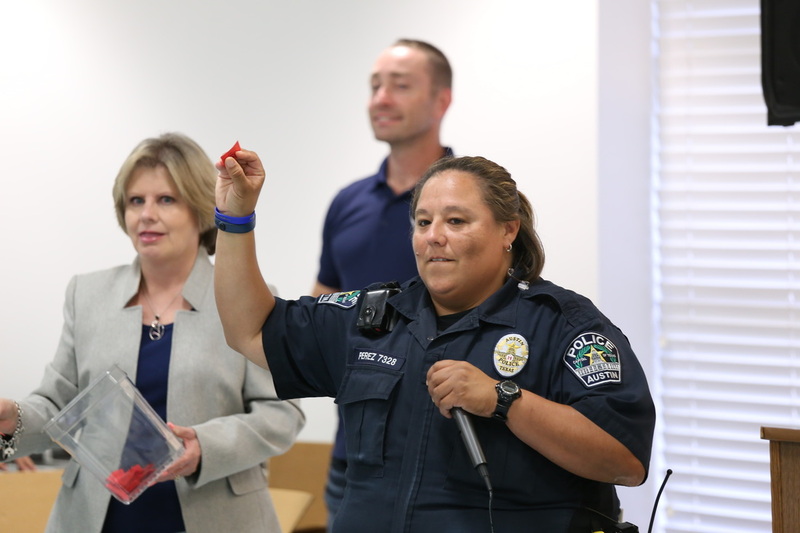 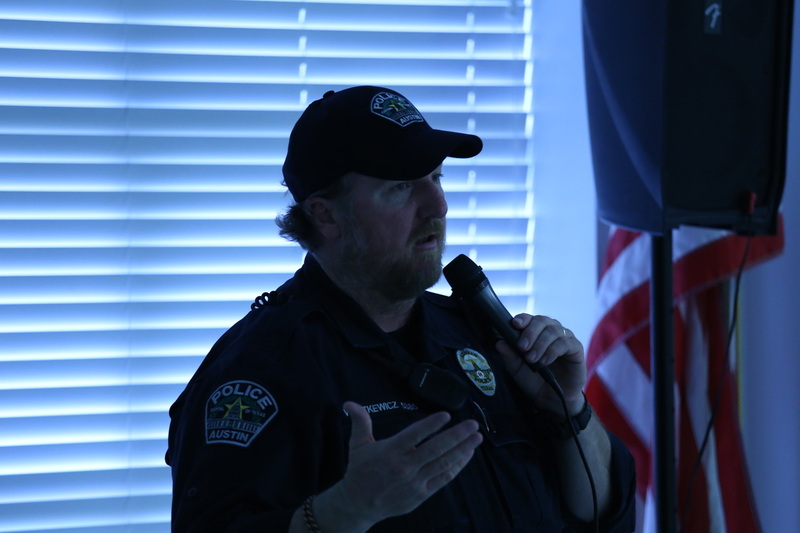 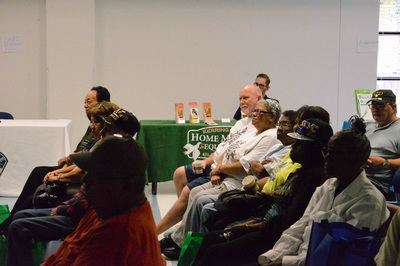 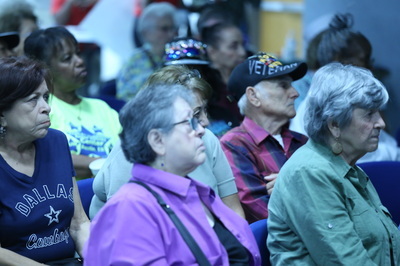 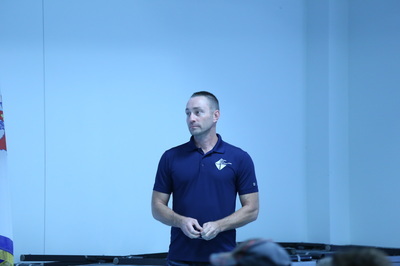 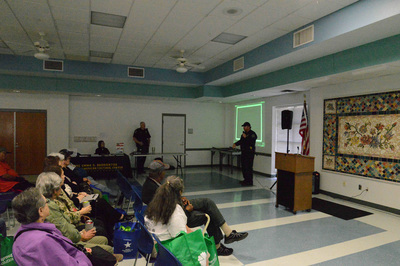 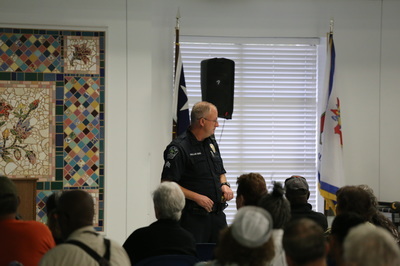 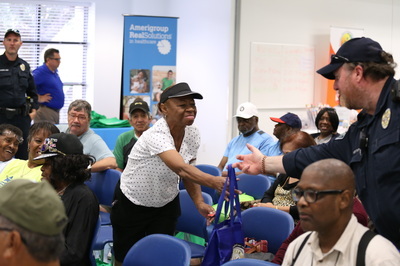 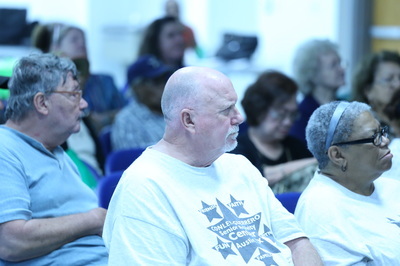 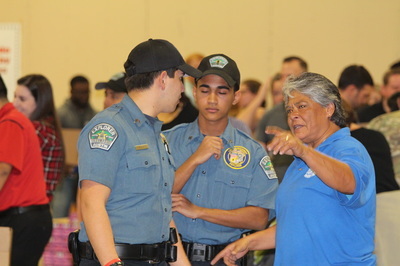 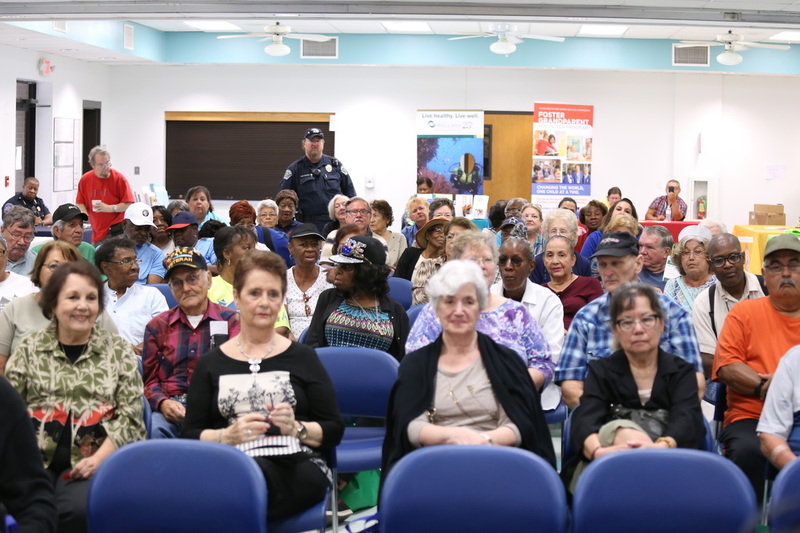 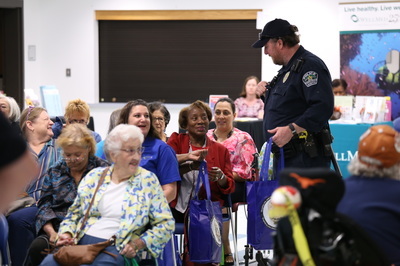 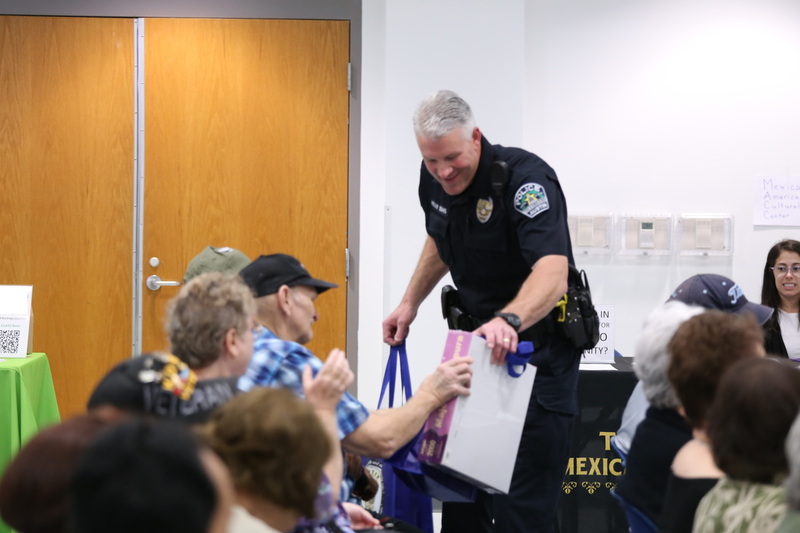 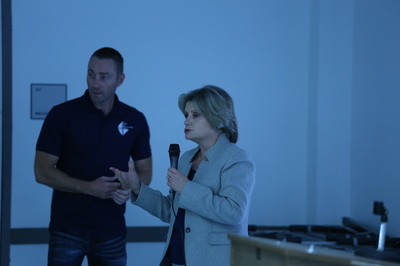 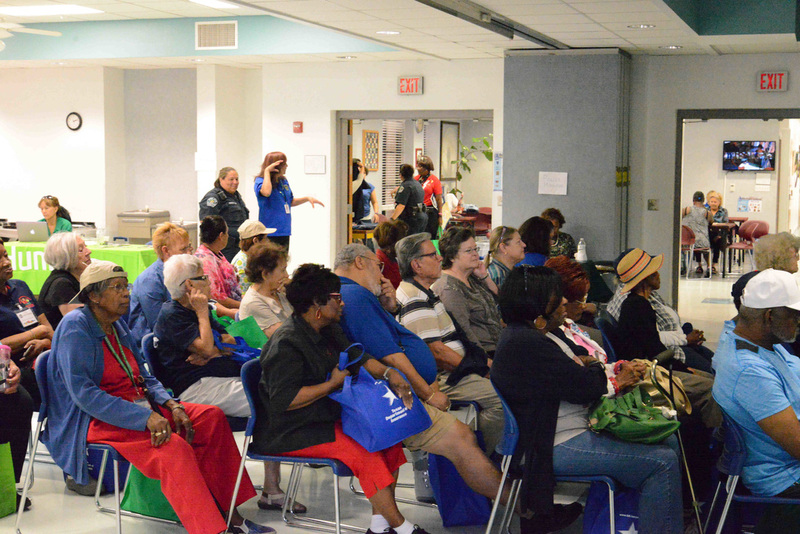 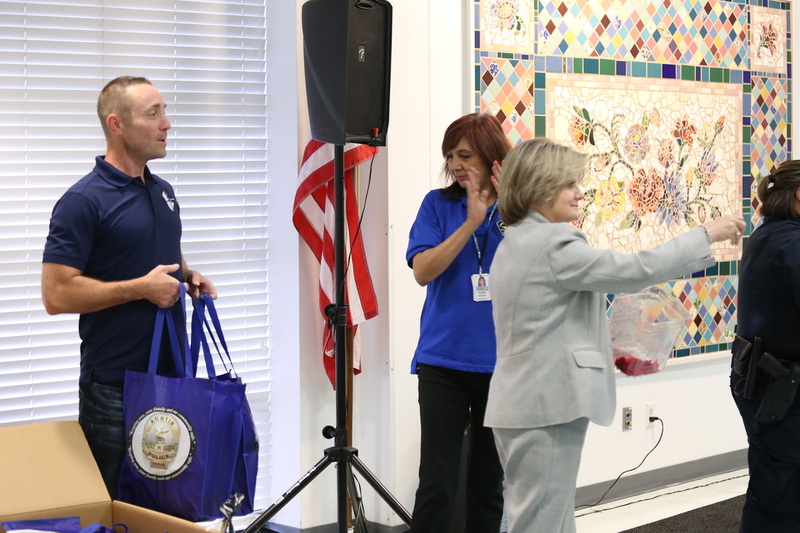 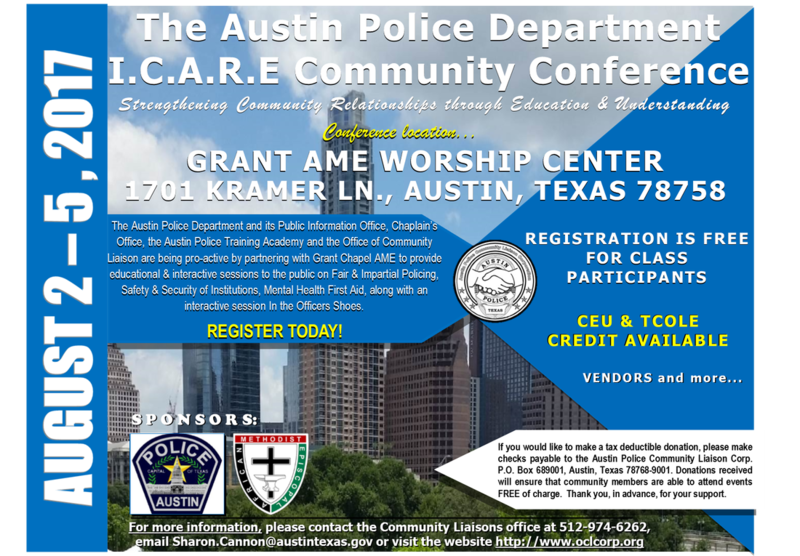 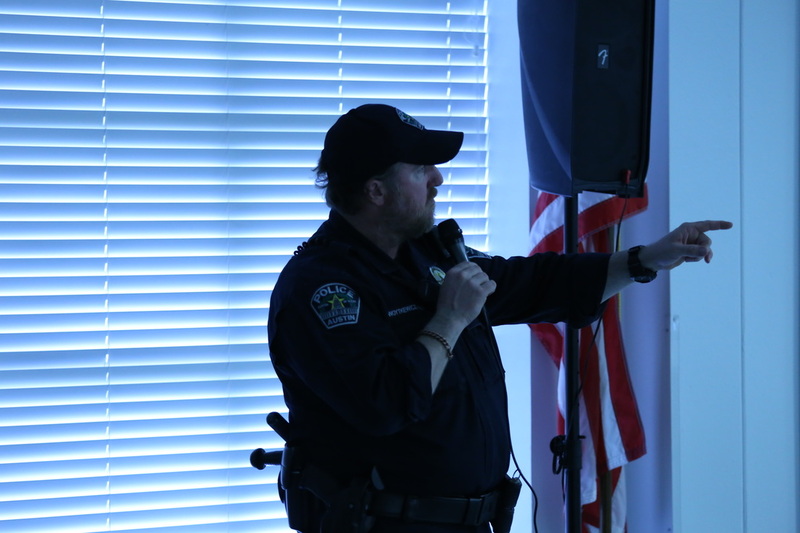 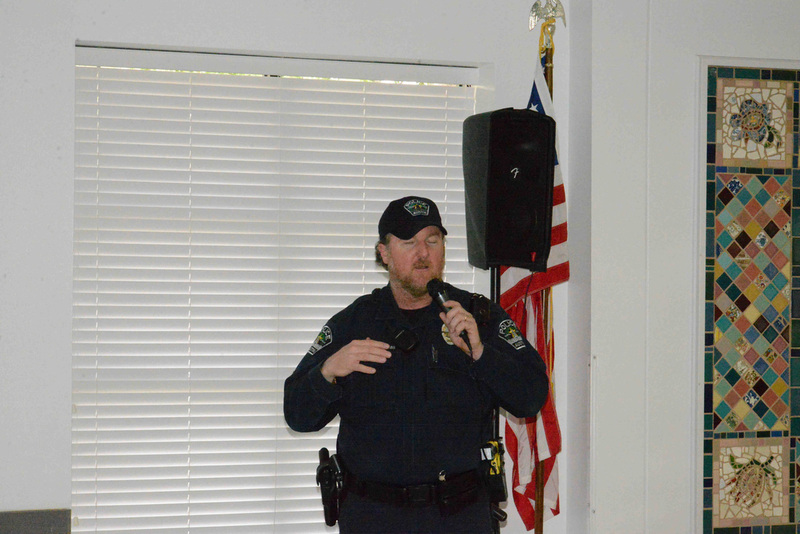 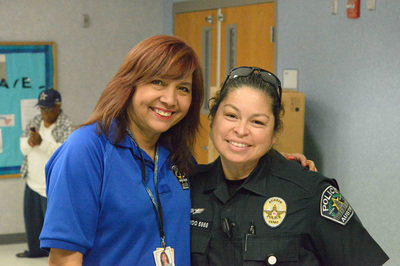 Representatives from the Austin Police Department address topics regarding seniors and crime.